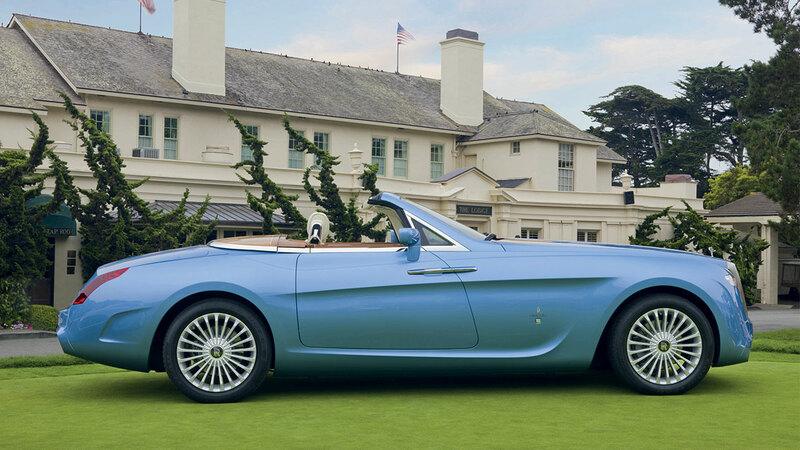 Starting from its roots and from the solid reputation achieved during 90 years of glorious history, Pininfarina has confirmed its role as standard-bearer of the aesthetic values of Italian design in the world. 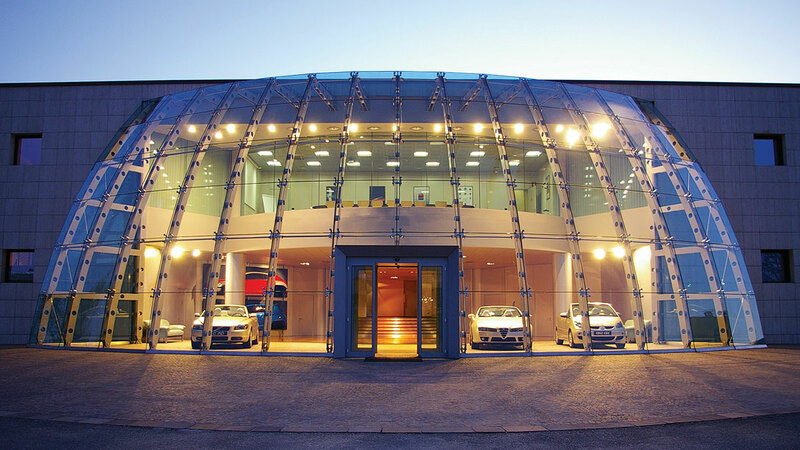 Today’s activities are focused on design (automotive and non-automotive), engineering services (product development, testing, prototype construction) and production of very small series or exclusive high quality cars. 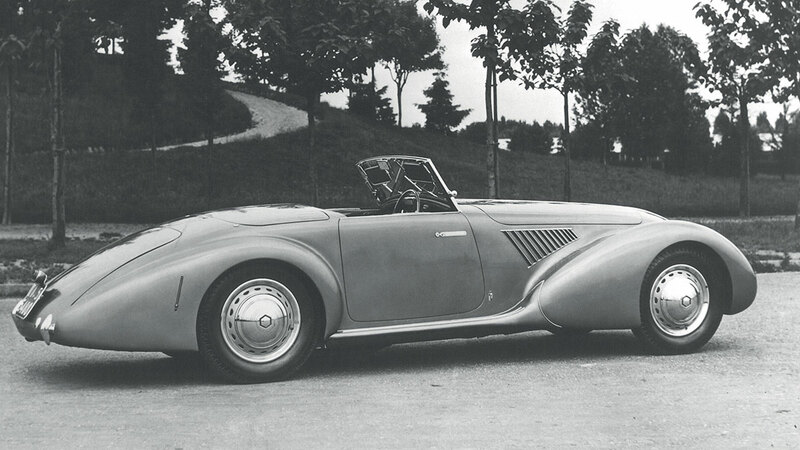 Pininfarina celebrates 80 years with the spider 2uettottanta on Alfa Romeo mechanicals. 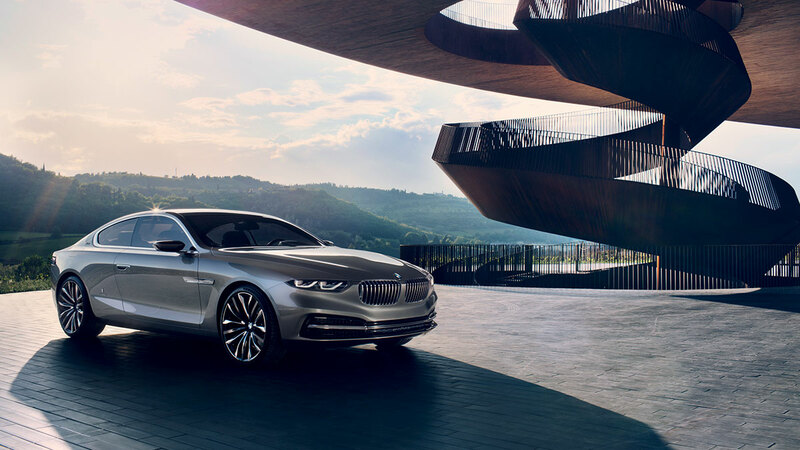 The commitment to sustainable mobility continues with the electric car Nido EV and the concept car Cambiano, luxury sport sedan with electric traction. 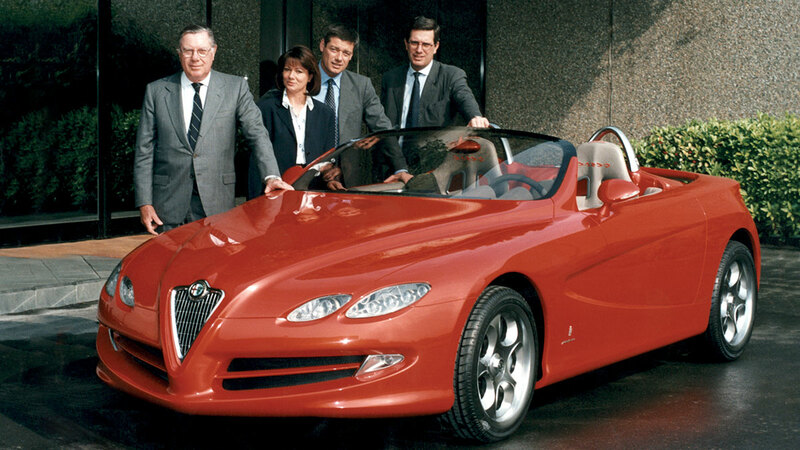 In July 2012 Life Senator Sergio Pininfarina passed away in Turin. 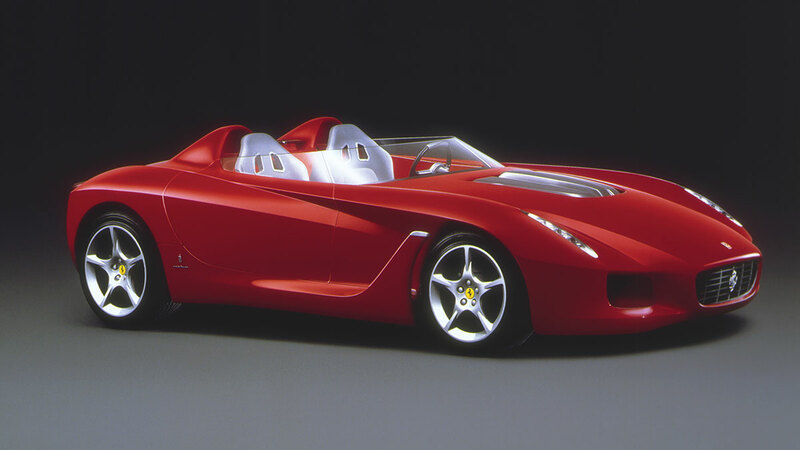 He was celebrated in 2013 at the Geneva Motor Show with the unveiling of the Sergio, modern vision of a two-seater barchetta. 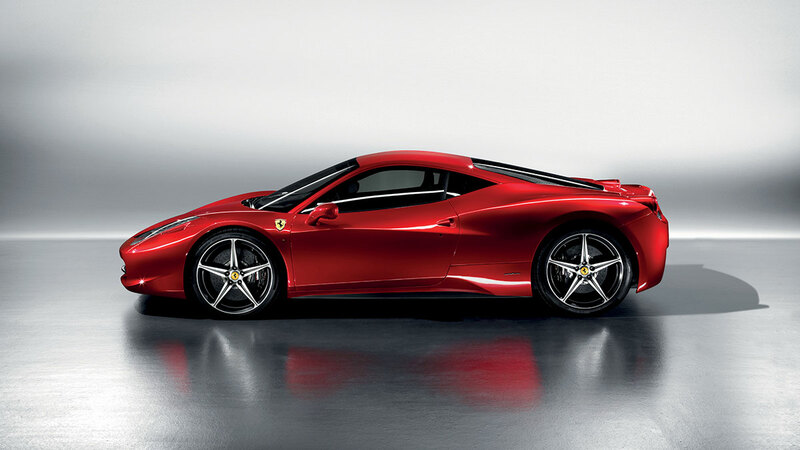 The marriage with Ferrari generated new successes: FF, 458 Spider, F12berlinetta, 458 Speciale, California T.
The mission of global designer was confirmed in 2013 by the Gran Lusso Coupé Pininfarina, exclusive interpretation of a luxurious BMW Coupe. 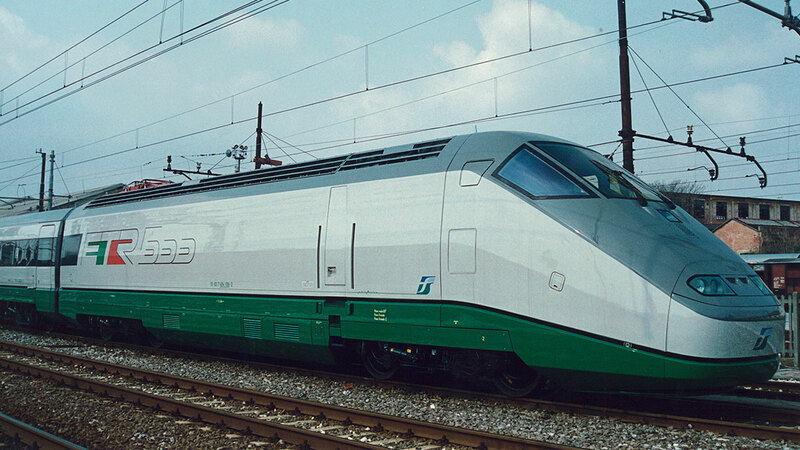 Eurostar unveiled its new e320 train designed by Pininfarina. 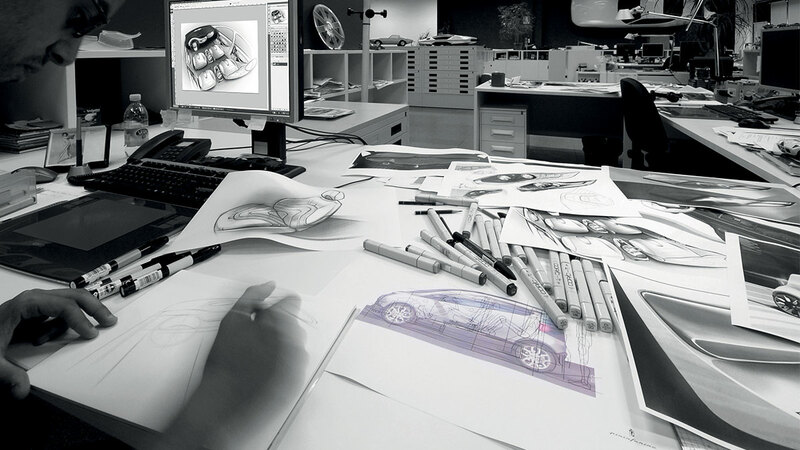 Contribution of Pininfarina Extra to brand enhancement increased with major projects in Europe, North and South America and Asia in the fields of interior design and architecture for international customers. 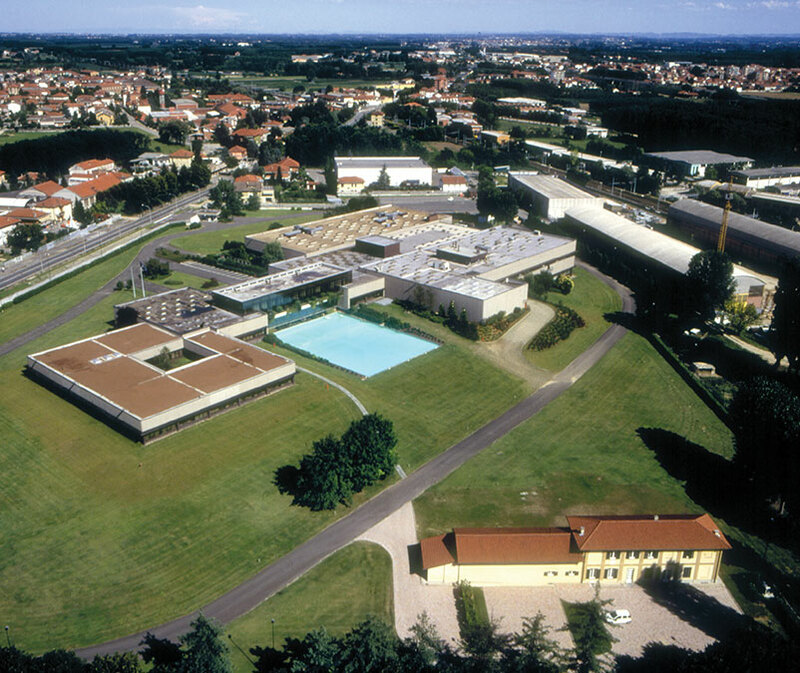 The inauguration of the Engineering Centre of Cambiano, in 2002, represented the decision to reposition the Company, putting engineering services on the market: an organisational challenge in terms of the emphasis on quality and quantity of a service that was no longer dedicated primarily to Pininfarina internal production, but developed and structured also for third parties. 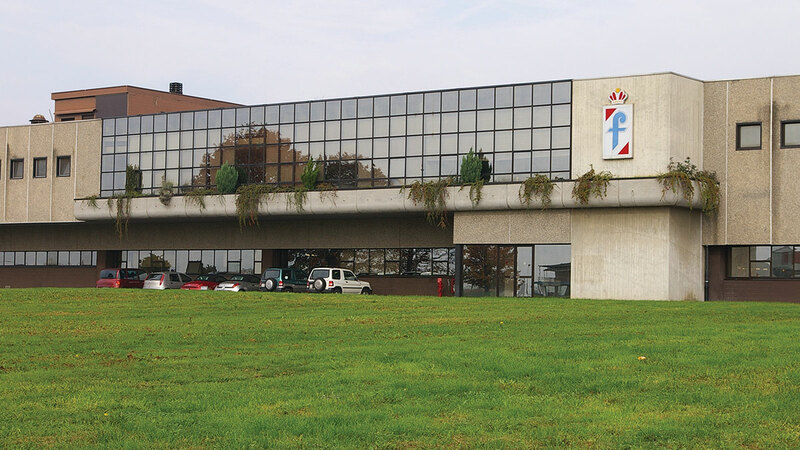 The new structure made it possible to further expand the range of services that the Company could offer to Customers and which, together with those of styling and niche production, made Pininfarina a flexible task force able to take responsibility for the creation of a new turn-key product or for one or more stages of the development process. 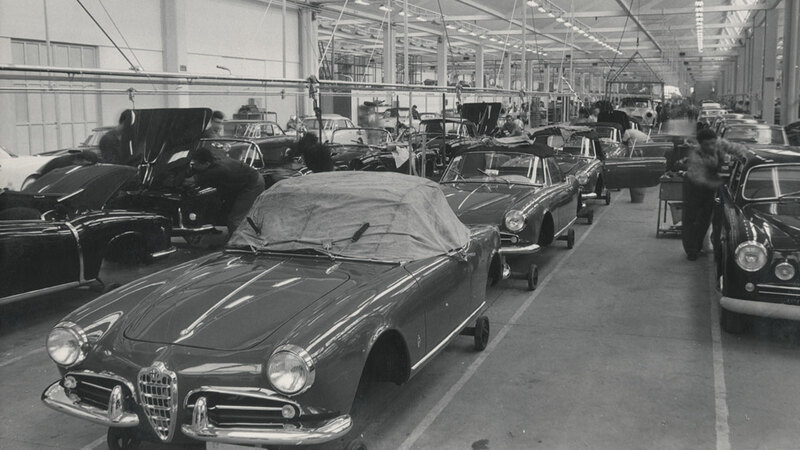 The internationalization process made a step forward through the establishment of Pininfarina Sverige AB in Sweden, a joint venture with Volvo Cars responsible for producing a new generation of convertible Volvo cars. 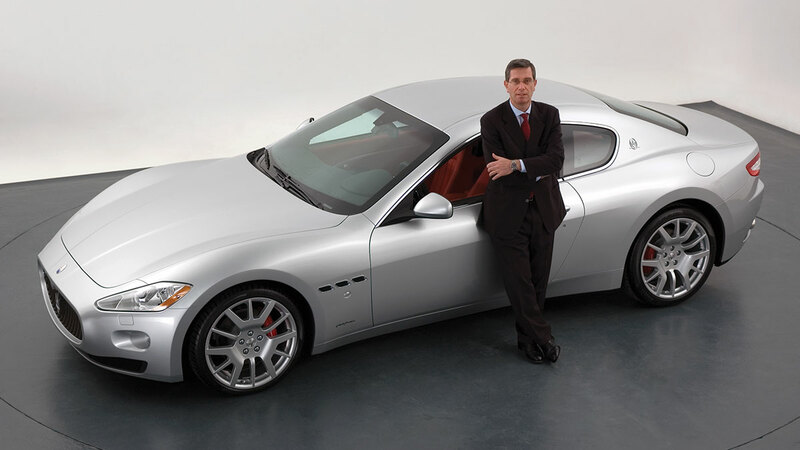 While the partnership with Ferrari was still going on, the one with Maserati started again after 50 years: besides designing the multi-award winning Quattroporte, Pininfarina celebrated 75 years of activity with the world debut, at the 2005 Geneva Motor Show, of the concept ‹‹Birdcage 75th››, realized in collaboration with Maserati and Motorola, winner of the ‹‹Best Concept›› Award. An engineering centre was inaugurated in Casablanca, Morocco, and partnerships with OEMs of emerging markets, China above all, increased. The Pininfarina design, even beyond automobile, definitely proved itself: Paolo Pininfarina collected the ‹‹Red Dot: Design Team of the Year Award›› for the best design team in 2004. 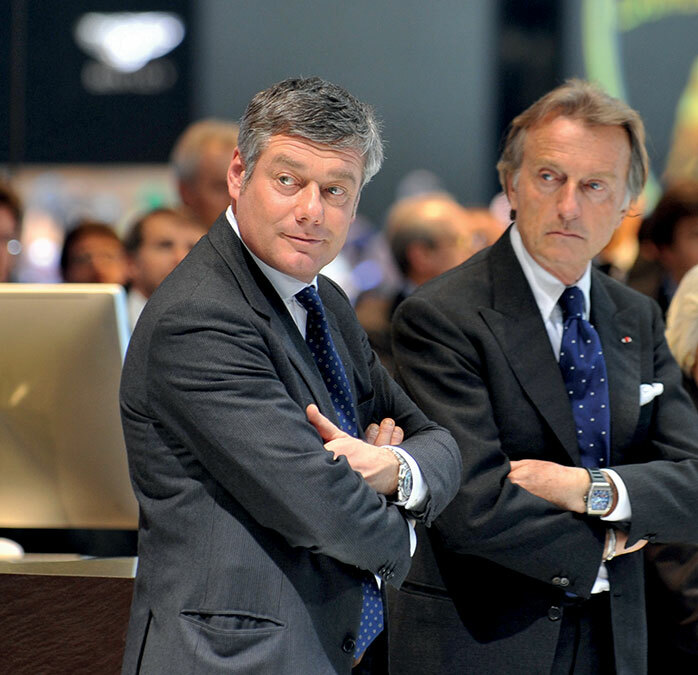 Those were the time of the shift from second to third generation: on May 12 2006 the Board of Directors elected Andrea Pininfarina Chairman and CEO and Paolo Pininfarina Deputy Chairman. 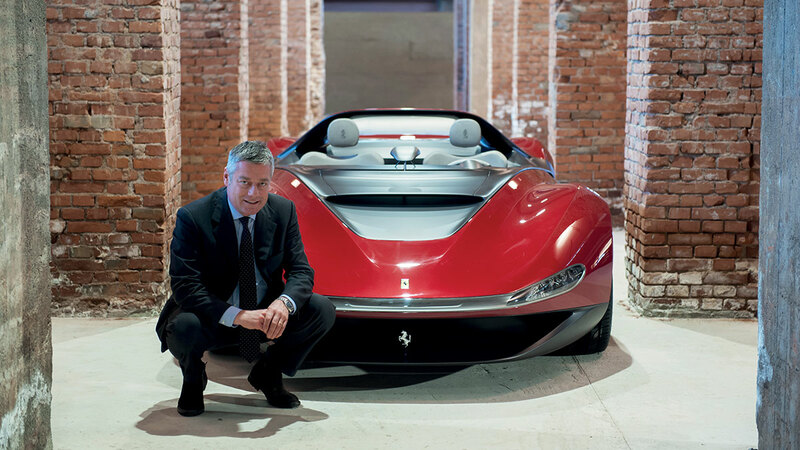 Sergio Pininfarina was elected Honorary Chairman by unanimous voice vote. 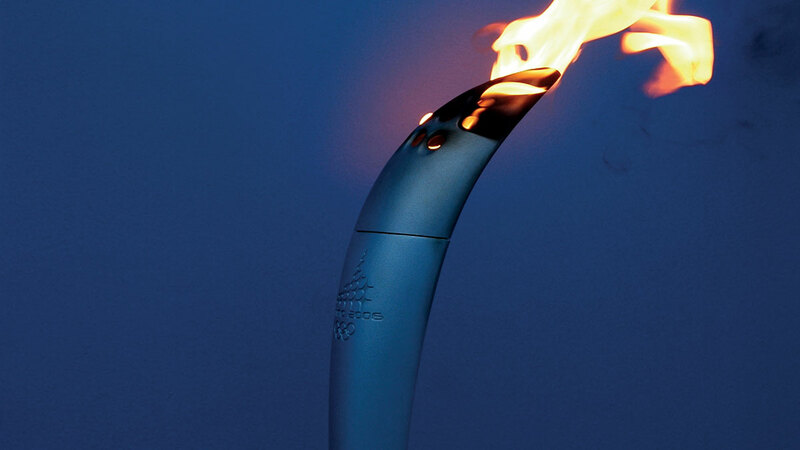 Pininfarina contributed to the success of Torino 2006 Winter Olympic Games designing and manufacturing the Olympic Torch. ‹‹The Torch has a close relationship with the car because for us design is aesthetics applied to function and use››, said Andrea Pininfarina. 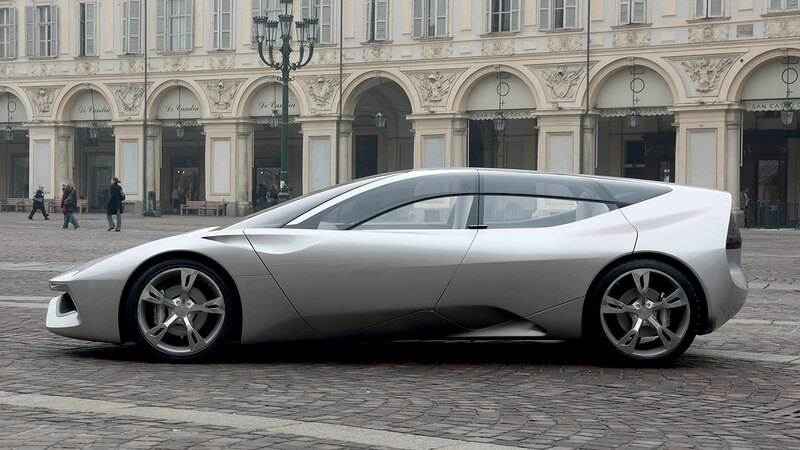 Consistently with its vocation towards innovation, Pininfarina announced the development of the first Italian electric car in partnership with Bolloré, thus anticipating big OEMs on the ecomobility theme, and presented the Sintesi concept, which explored solutions for the car of the future. In the wake of tradition, reinterpreting its craftsmanly roots, the Company started again to offer collectors of exclusive one-off models a chance to create their own ‹‹dream car››. 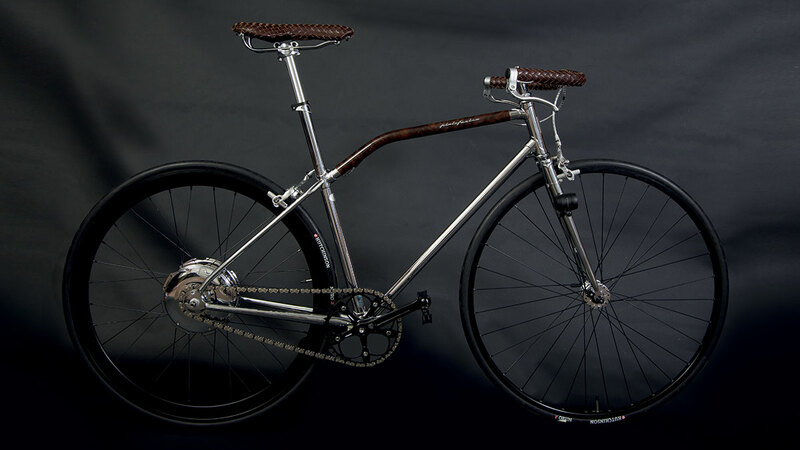 Just some days before the debut at Pebble Beach of the Hyperion one-off, on August 7th 2008, Andrea was the victim of a traffic accident while driving to his office. 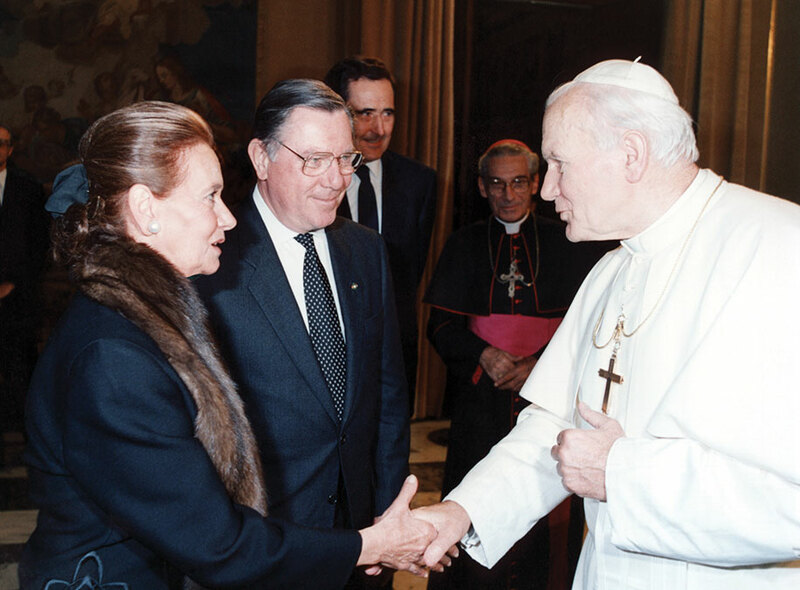 His brother Paolo was elected Chairman. 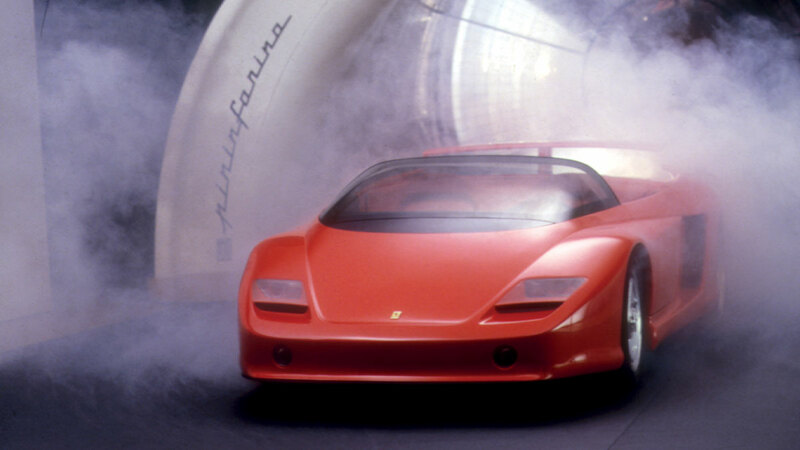 The Nineties were marked by the setting up of Pininfarina Deutschland GmbH, operating in the German market in the field of car engineering, tooling and model making, and in particular by the production activity growing. 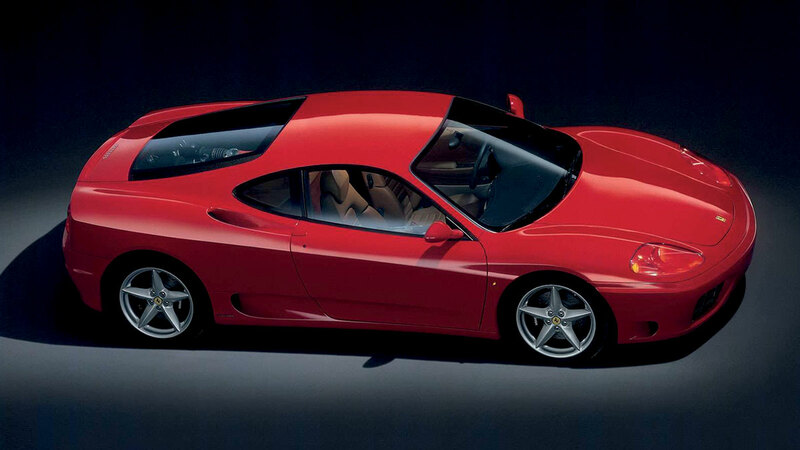 Between 1992 and 1994 the range manufactured by Pininfarina was renewed with four new models: the Ferrari 456 GT, the Coupé Fiat, the Peugeot 306 Cabriolet and the Bentley Azure. In 1996 production of the Lancia k Station Wagon and the Peugeot 406 Coupé were added. 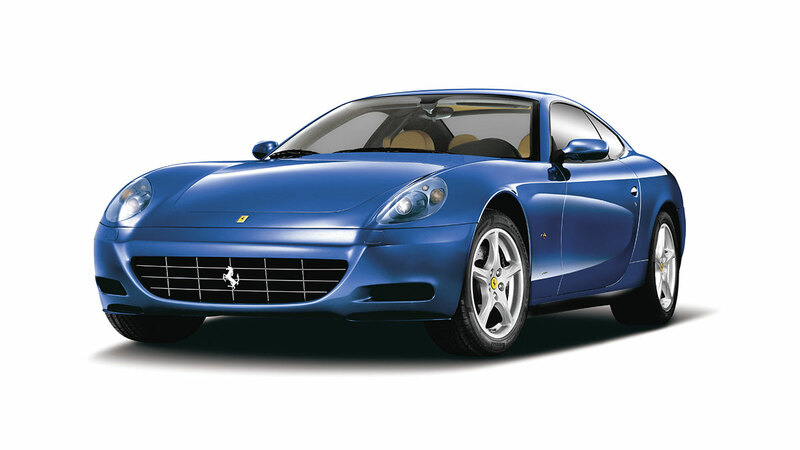 Designed and developed by Pininfarina, the French Coupé received many prizes for the excellence of its design, among which ‹‹The Most Beautiful Coupé of the World 1997›› and ‹‹Car Design Award 1997››. 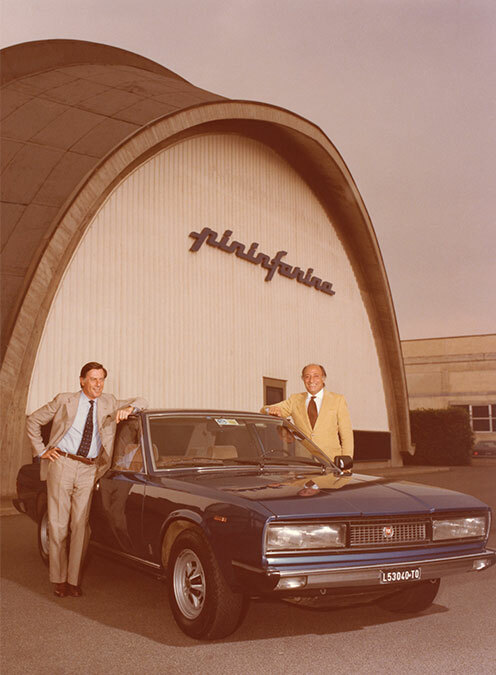 Pininfarina’s industrial expansion continued with the opening of a third manufacturing plant in Bairo, following the historical Grugliasco plant and the San Giorgio one, opened in 1986. 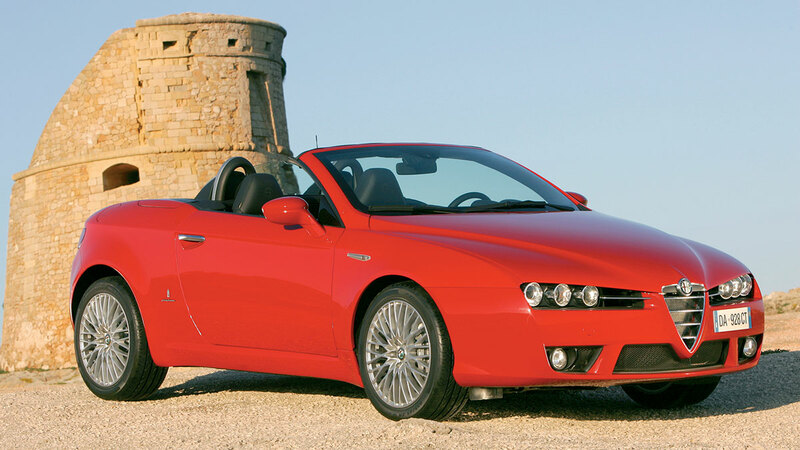 At the 1998 Turin Motor Show the Alfa Romeo Dardo debuted, a pure formal study of a spider with a powerful impact, awarded ‹‹Car of the Year››. 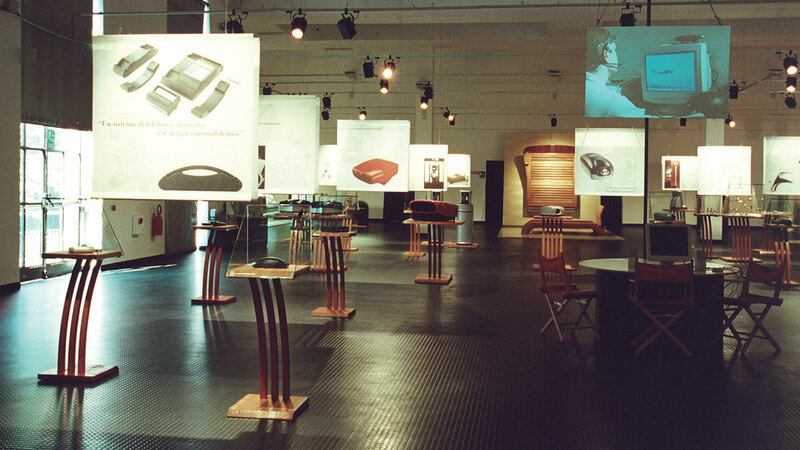 In the Eighties, period of market revival, Pininfarina started to offer its clients an even better, more comprehensive design service from a tailor-made centre equipped with all the facilities needed to develop a creative activity such as body design. 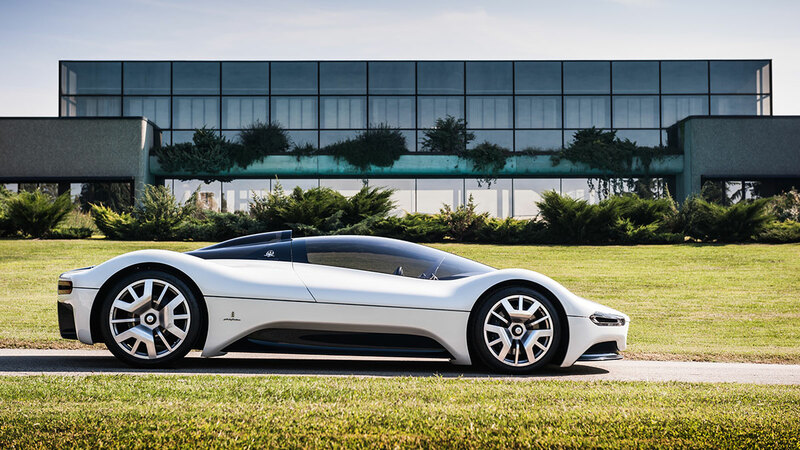 In the meanwhile, design activities extended to other means of transportation and industrial design: in 1986, at Cambiano, Pininfarina Extra was created. 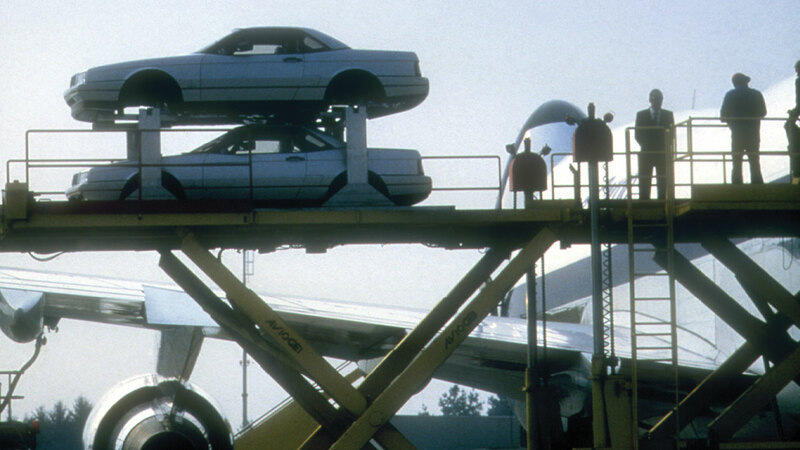 In the meanwhile, design activities extended to other means of transportation and industrial design: in 1986, at Cambiano, Pininfarina Extra was created. 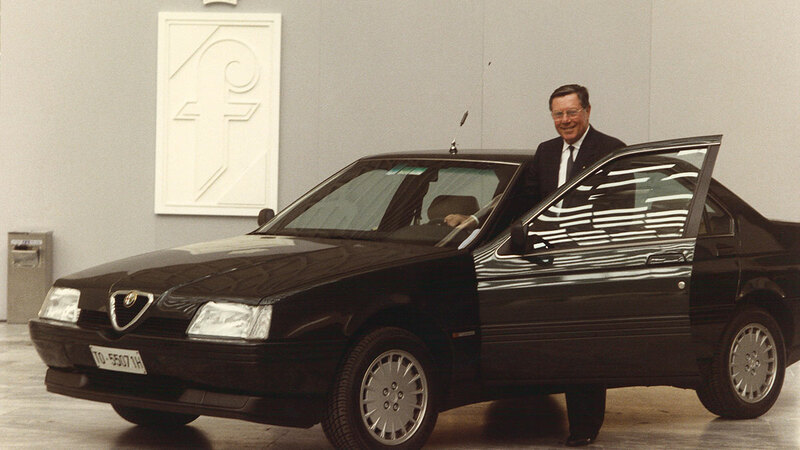 In 1986 the Company was quoted at the Stock Exchange, opened a new manufacturing plant in San Giorgio Canavese and presented the Allanté at the Paris Motor Show: for this luxury convertible Cadillac availed itself of the design and manufacturing capacity of Pininfarina (22,000 units were built), which supplied Detroit with completely finished bodies via an airbridge flown by Alitalia, from Caselle Airport. 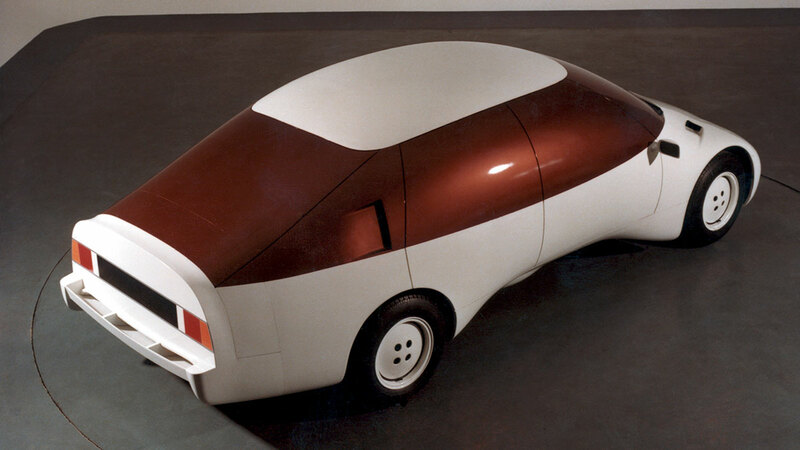 With the Mythos concept, Pininfarina was the first among the independent design companies all over the world to take part at the Tokyo Motor Show, in 1989, and won the Car Design Award 1990. 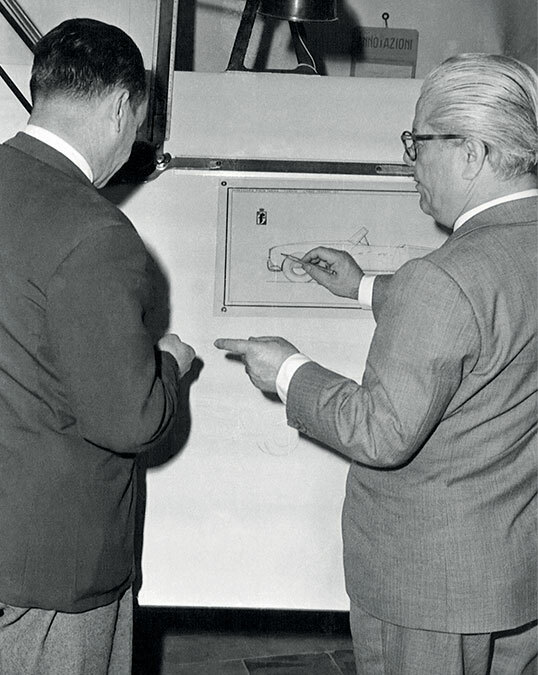 Sergio Pininfarina’s role within the creative process was so important and incisive that in 1995 he was awarded the Compasso d’Oro for his career, the same prize his father Pinin had won forty years earlier. 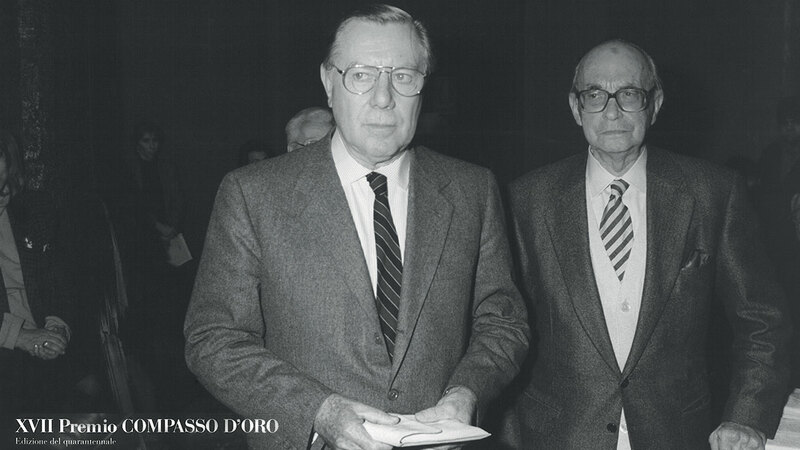 Significant too his institutional role: among the main past positions, Chairman of Industrial Association of Turin (1978-1984), Member of the European Parliament (1979-1988), President of Confindustria-Confederation of Italian Industries (1988-1992). In the mid-Seventies, following the Kippur War, the price of oil suddenly shot up and the prospect of a definitive scarcity of fuel loomed threateningly on the horizon. 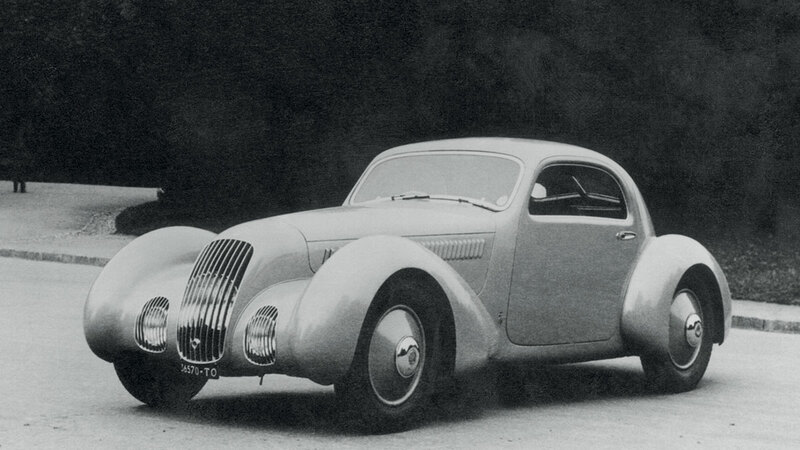 As a result, the issue of aerodynamics was once more at the centre of attention in the world car industry. 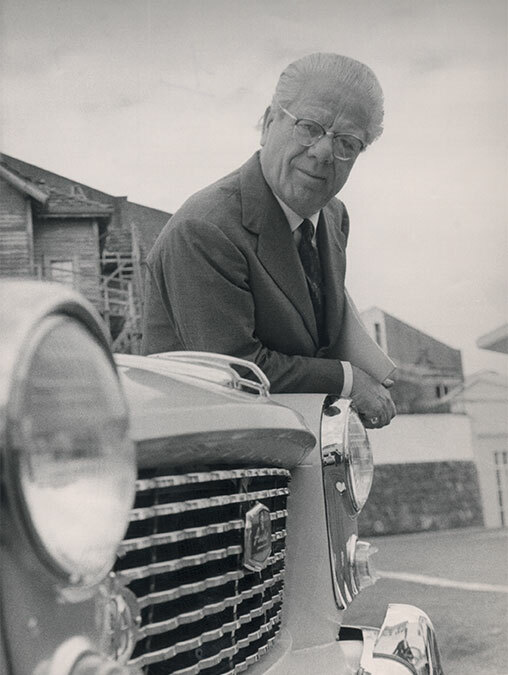 Thanks to the insight of its young Chairman, Sergio, Pininfarina possessed the instrument to measure scientifically the relationship between cars and their capacity for aerodynamic penetration. 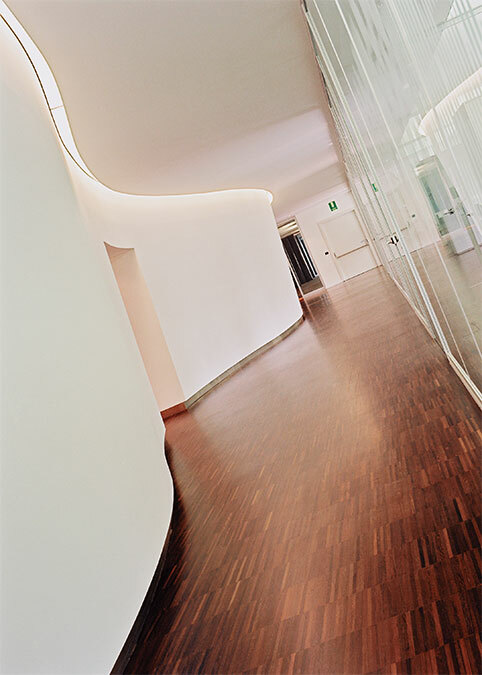 It was thus able to offer clients a service which had become a crucial part of the design process. 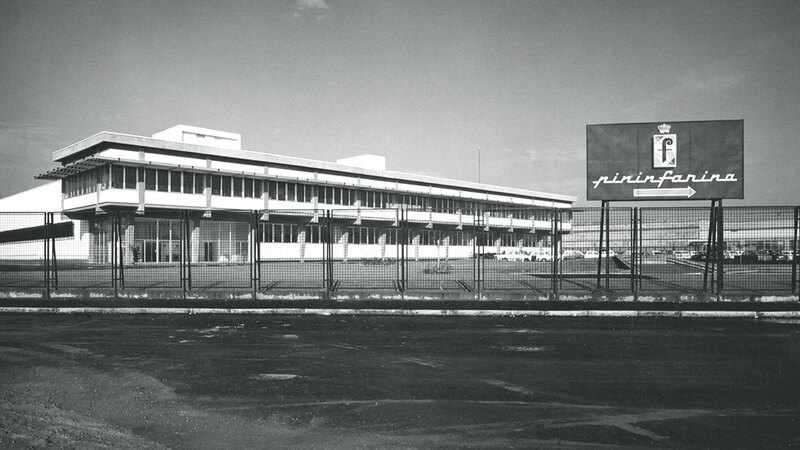 In the second half of the Seventies, Sergio Pininfarina became more and more convinced of the need to drastically separate the Centro Studi e Ricerche from the industrial part also to give greater visibility to the creative sector, at the same time ensuring the confidentiality appropriate for delicate dealings with an increasingly broad range of demanding international clients. 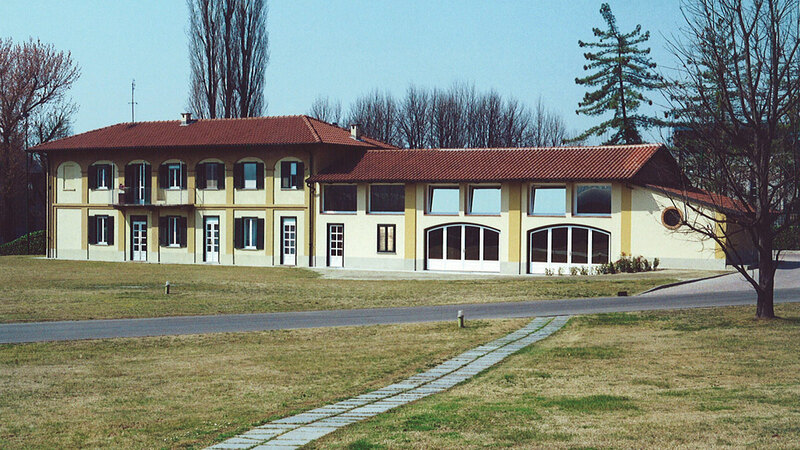 In 1978, in the middle of the worst crisis the car industry had ever suffered, work began on the building of the Pininfarina Studi e Ricerche in Cambiano. Once again going against the trend, the project required hefty investment, not to mention great courage. 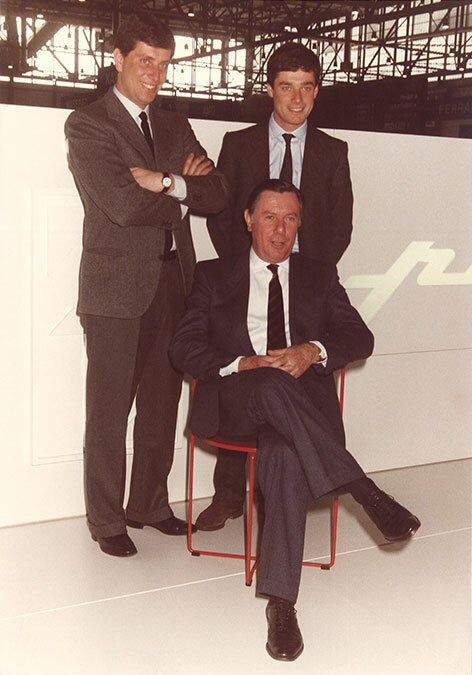 At the age of 68, Pinin turned his firm over to his son Sergio and his son-in-law, Renzo Carli. 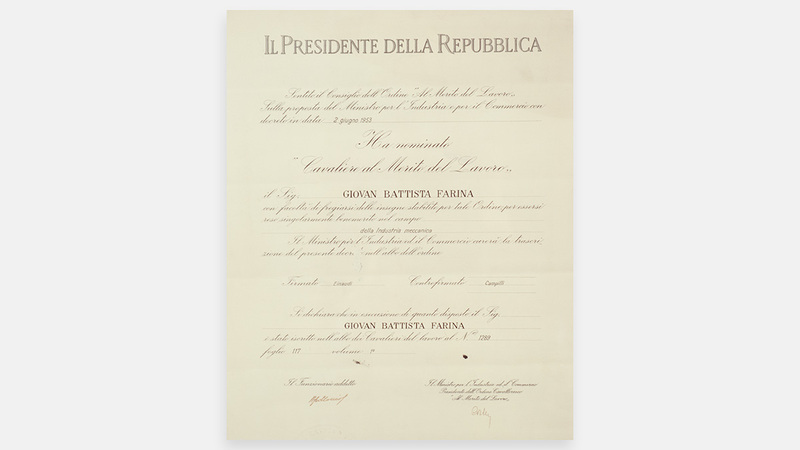 The President of the Italian Republic Gronchi authorized the change of the family name. 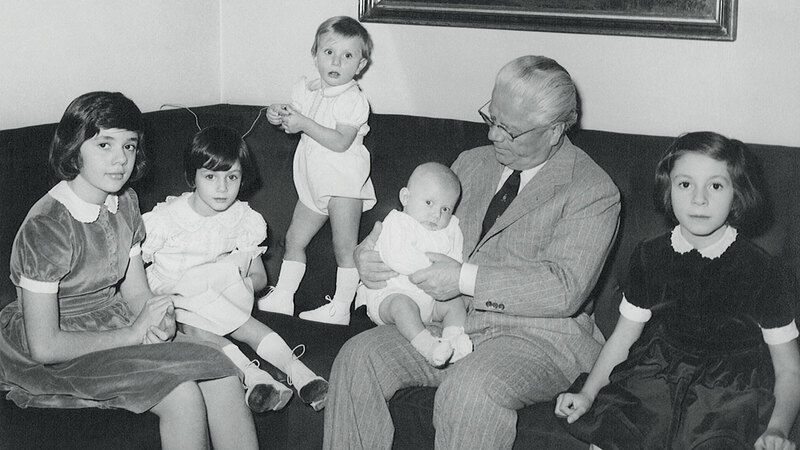 ‹‹On June 6th 1961 I had received the presidential decree which changed the surname Farina into Pininfarina, for me, my children and my grandchildren. 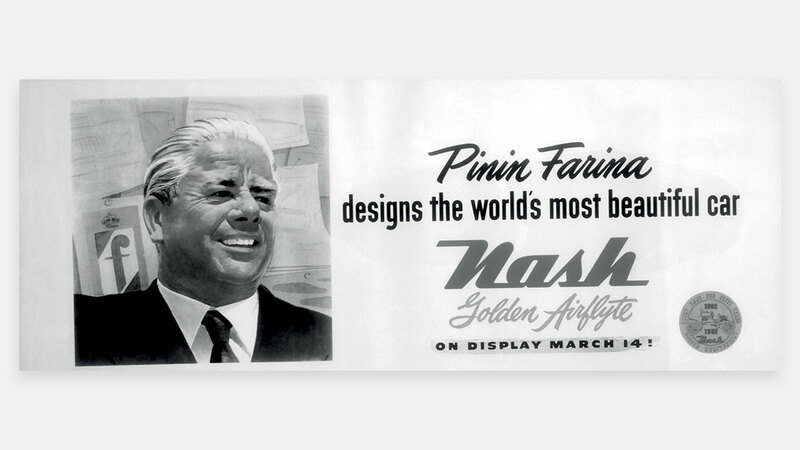 It was an unusual occurrence, and the motivation said that one aspect of Italian industry and design had become well-known abroad thanks to the name Pinin Farina, and so the change, or rather the fusion of the name with the surname, now backed up by law, sanctioned a usage which was already predominant everywhere››. At the 1963 Paris Motor Show the Chevrolet Corvette Rondine debuted anticipating the stylistic solution of the Fiat 124 Sport Spider rear part. On show at the Turin Motor Show the Pininfarina Sigma, a bodywork study with 14 technical safety solutions, 8 of which will be currently used in the production of the cars in the future. 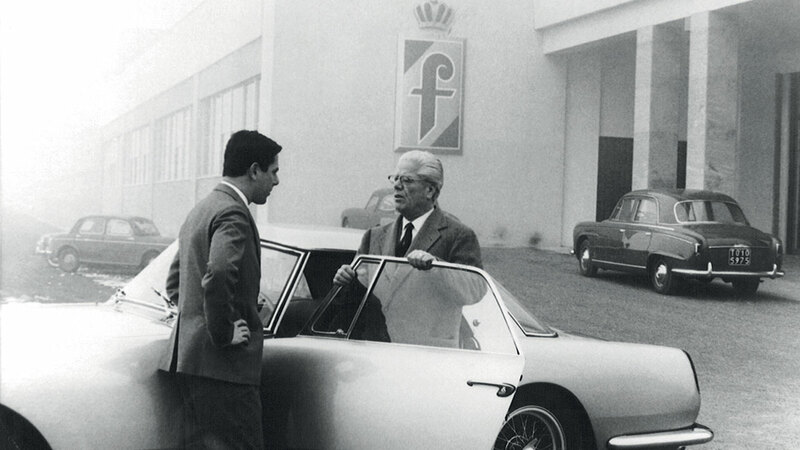 On April 3rd 1966 Battista Pininfarina died in Lausanne and Sergio Pininfarina became the Chairman of Pininfarina. Nothing apparently changed, if we consider the formal quality of the design work of his successors, when the Founder left the scene. 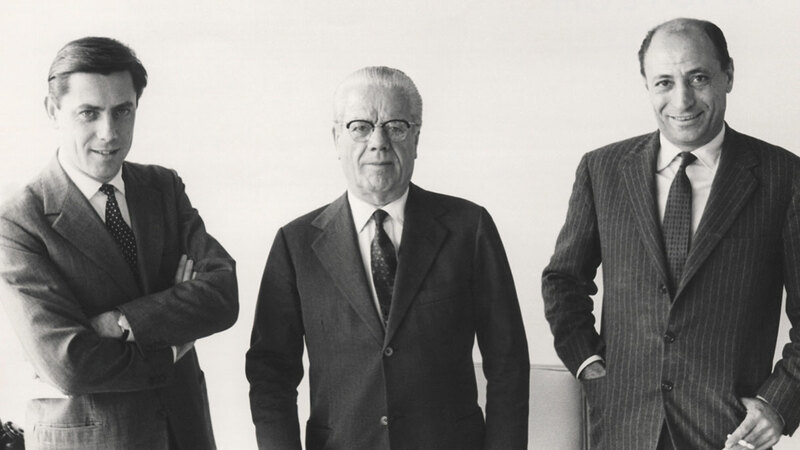 Pininfarina’s design continued to be the result of a singular balance between a mixture of different qualities, such as design sensitivity, taste, technical research and innovation. 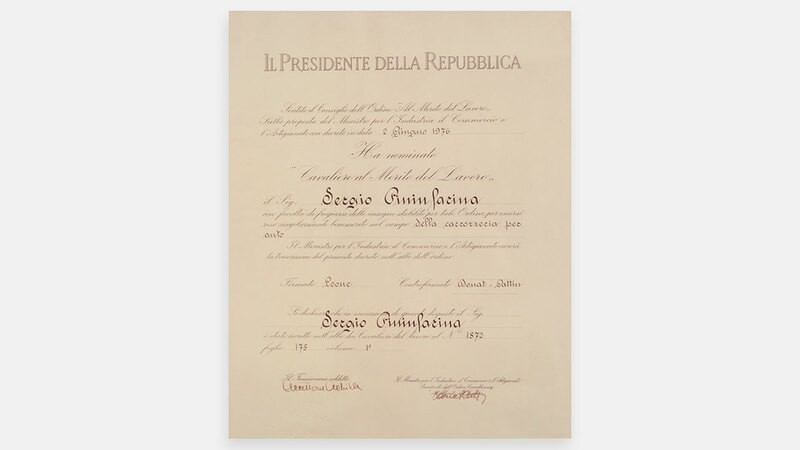 This vocation led, still in 1966, to the inauguration of the Studies and Research Centre in Grugliasco. 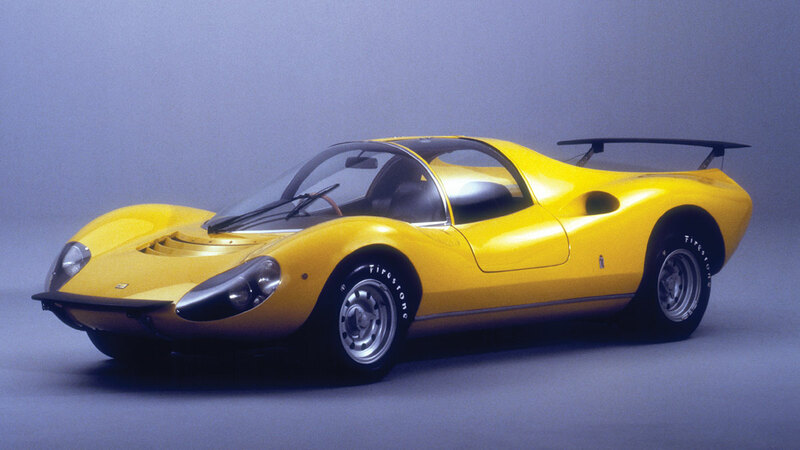 So Pininfarina helped to define design projects as a partner involved in every aspect of the product, not just its styling. 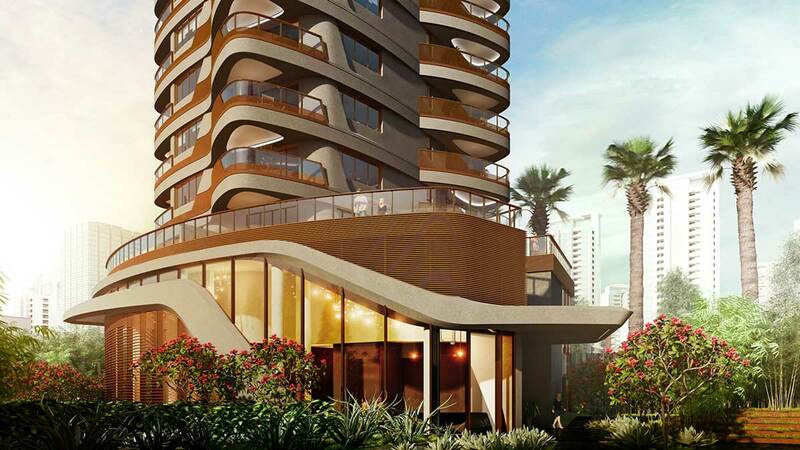 What remained, finally, was the capacity to carry on a fruitful collaboration with clients, which has lasted for decades and which has given rise to different generations of models. 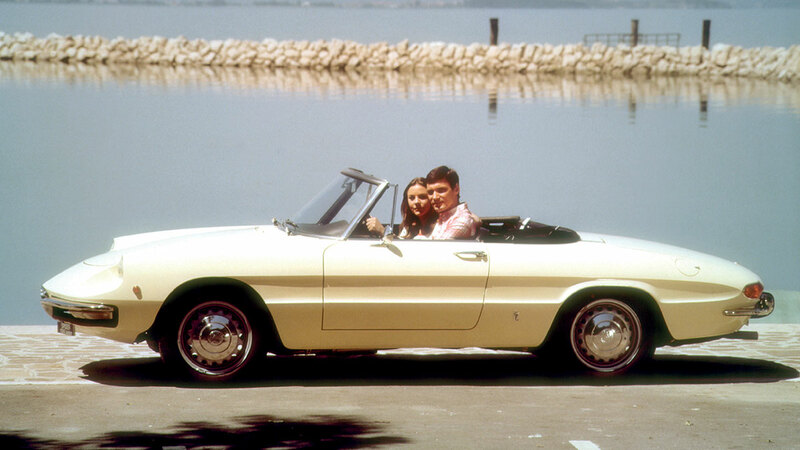 In 1966, at the Geneva Motor Show, made its debut the Alfa Romeo 1600 Spider, later to be known as the ‹‹Duetto››, made famous by the film ‹‹The Graduate›› with Dustin Hoffman: radically revamped and with different names, it continued to be built by Pininfarina until 1993 (140,000 units). 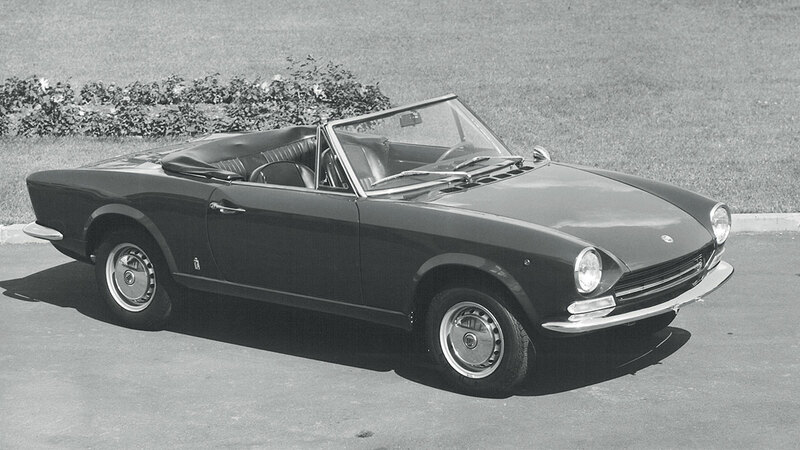 On show at the Turin Motor Show the Fiat 124 Sport Spider, which soon became one of the most successful models of Pininfarina (200,000 units), exported in large numbers to North America. The confidence in the resolutive capabilities of science gave rise to hefty investment in research and the acquisition of increasingly advanced equipment and plants. 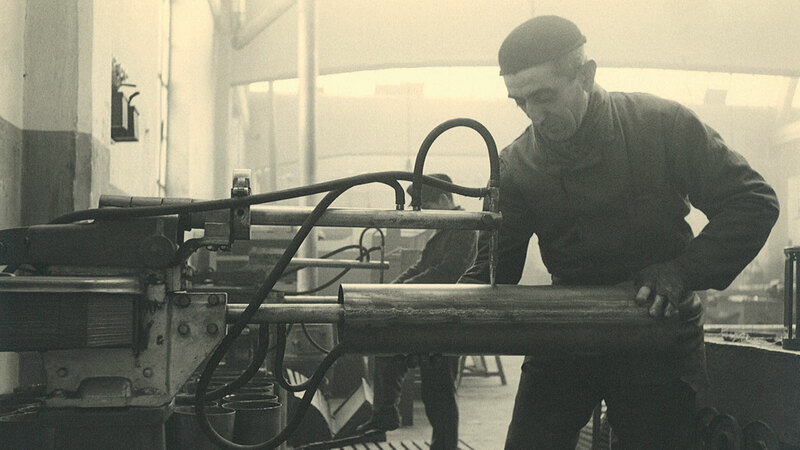 Towards the end of the Sixties, the setting up of a ‹‹Centro di Calcolo e Disegno›› equipped with DEA Touching Machines was a decisive step on the road to design automation, which was to be developed in the subsequent decades. 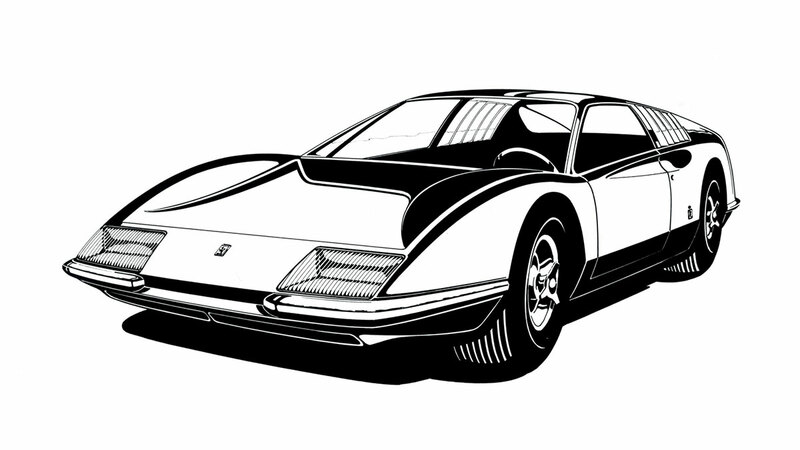 ‹‹Ferrari and Pinin? It won’t last. It’s like putting two Prima Donna in the same opera››. 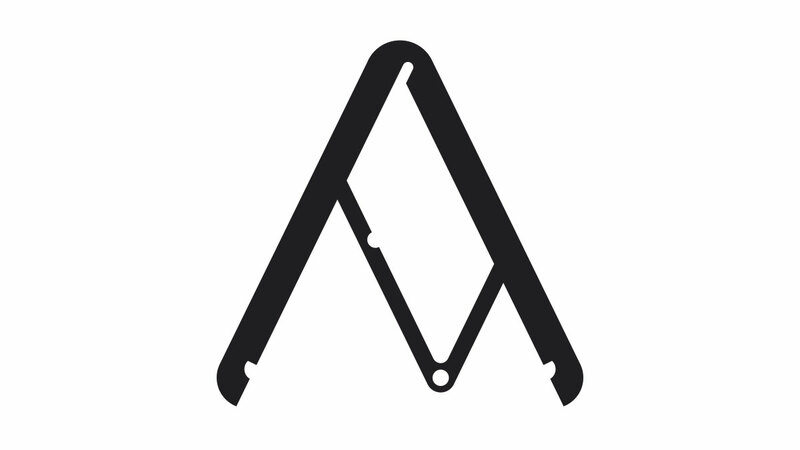 This was the general opinion bandied round the automotive environment in the Fifties. 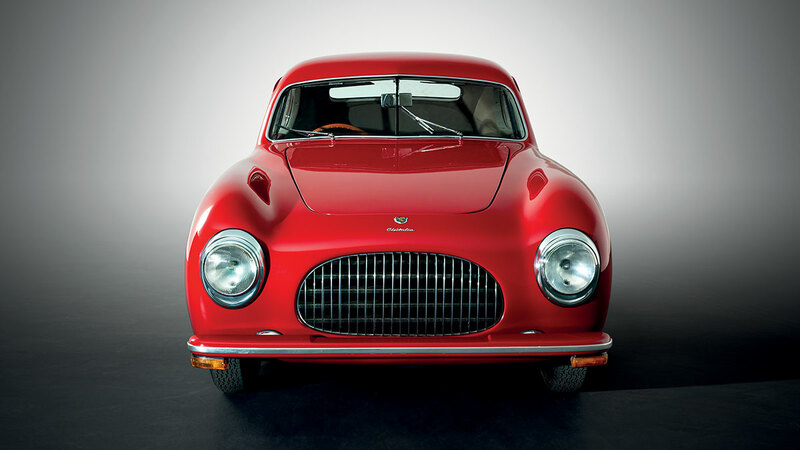 However, since Pinin and Enzo Ferrari met, their combined marques have defined some of the most beautiful cars ever built in a constantly evolving relationship that has now lasted for about 60 years. 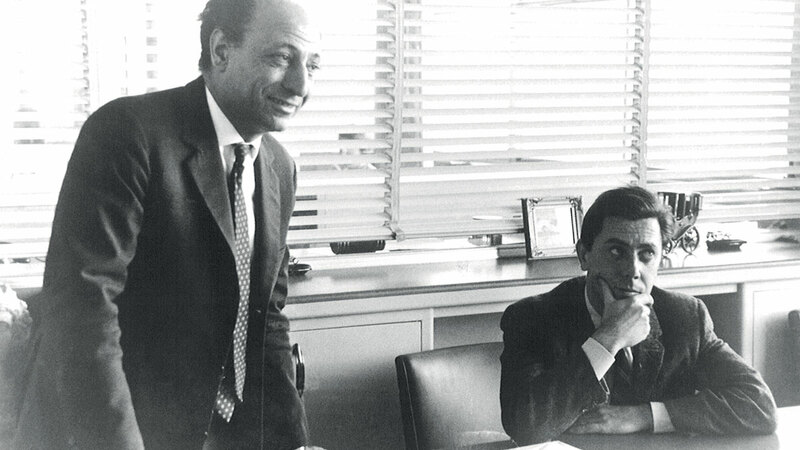 Back in 1951, initially, Ferrari let ‹‹Pinin›› Farina know that he would like to meet him and invited him to Modena. 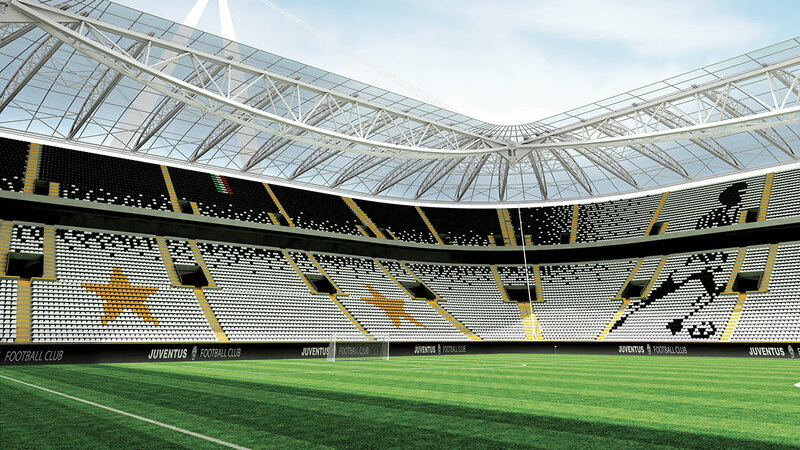 The reply was: ‹‹I am very willing to meet him but I would rather he came first to Turin››. 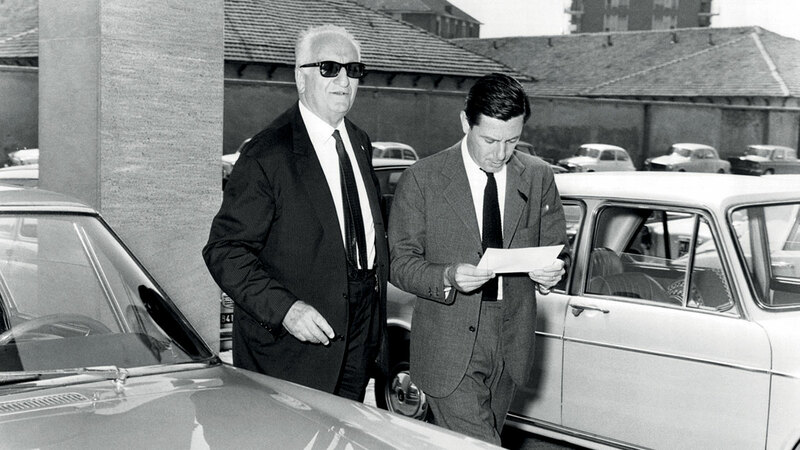 He was informed that Ferrari ‹‹rarely leaves Maranello››. The negotiation seemed to have a ground to a halt. But his son Sergio found the solution: a meeting on neutral ground. In the end, they finally shook hands at a restaurant in Tortona: half way between Turin and Modena. 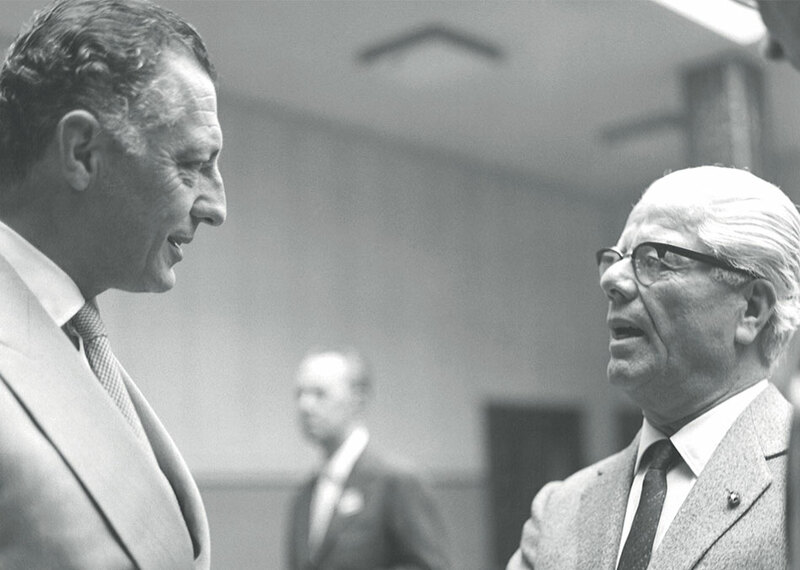 Pinin gave Sergio the dual responsibility of designing all bodies for Ferrari and maintaining contacts between the two companies and their respective technical offices. 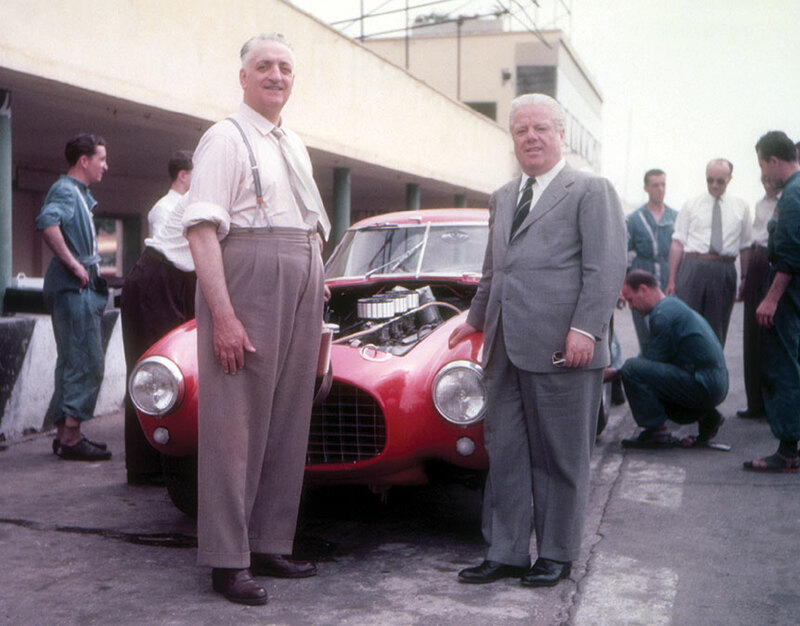 In 1951 the Ferrari 212 saw the light to be followed, in 1954, by the 250 GT. The Pinin Farina style also conquered the American cinema, with the movie ‹‹Sabrina›› by Billy Wilder, starring Audrey Hepburn, William Holden, Humphrey Bogart and the Nash Healey Spider. 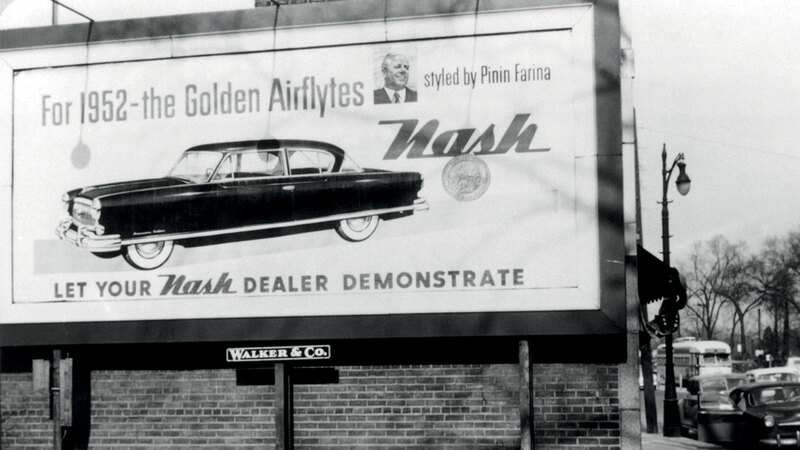 The car, designed and manufactured in Italy for the U.S.A. market, underlined the Pinin Farina international vocation. 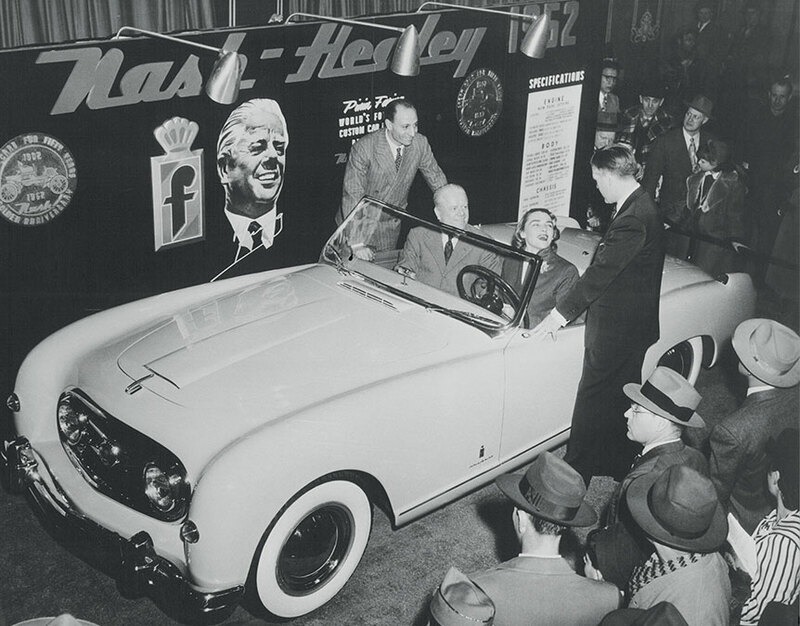 Pinin returned for the second time to the United States for the unveiling of the Ambassador, designed by him, and of the Nash Healey, planned and built in limited series at his Turin plant. He was warmly welcomed and showered with manifestations of respect and esteem. 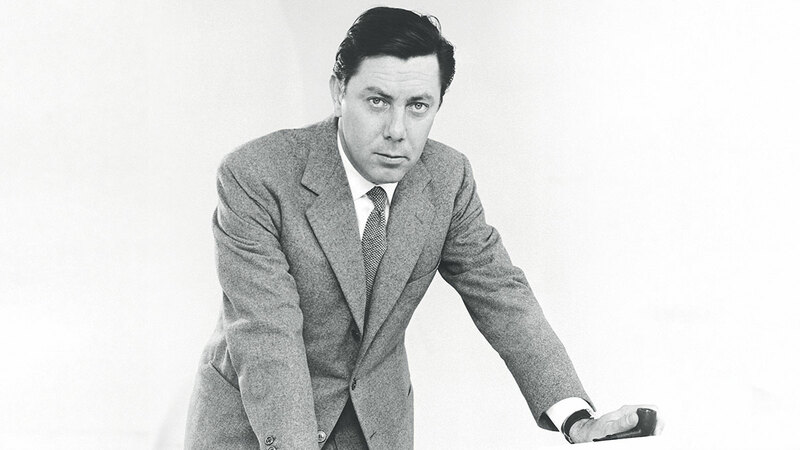 This was the first time in the history of American automobile companies that the name of a designer became famous. 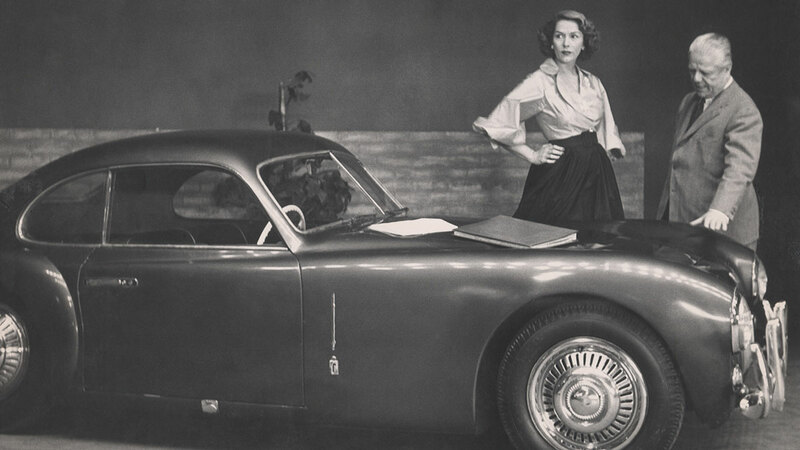 At the 1954 Bruxelles Motor Show made its debut the Lancia Aurelia B24 S: the mass-produced special, the queen of desires, and protagonist of the movie ‹‹Il Sorpasso›› by Dino Risi, with Vittorio Gassman. One of the best-looking cars ever, it was eminently suitable for speeding along the Californian highways: many of the 761 units produced were sold in the United States, opening up a significant export flow. 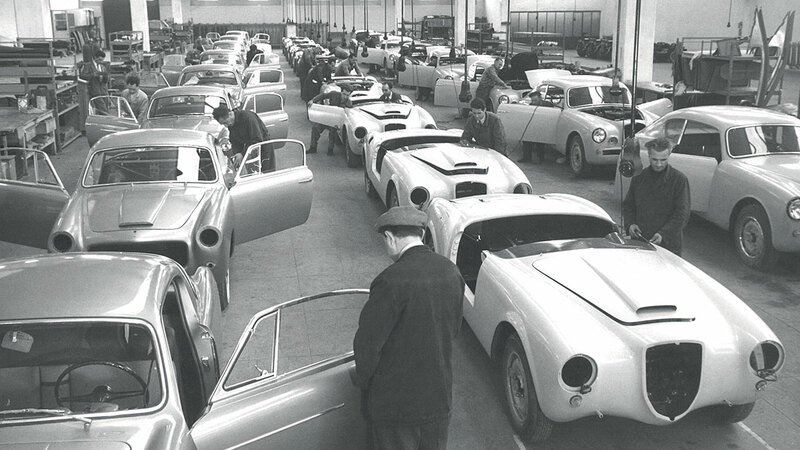 In 1955, with the Alfa Romeo Giulietta Spider, the so-called by Pinin ‹‹fair girl››, the decisive passage to the industrial dimension (more than 27,000 units manufactured). 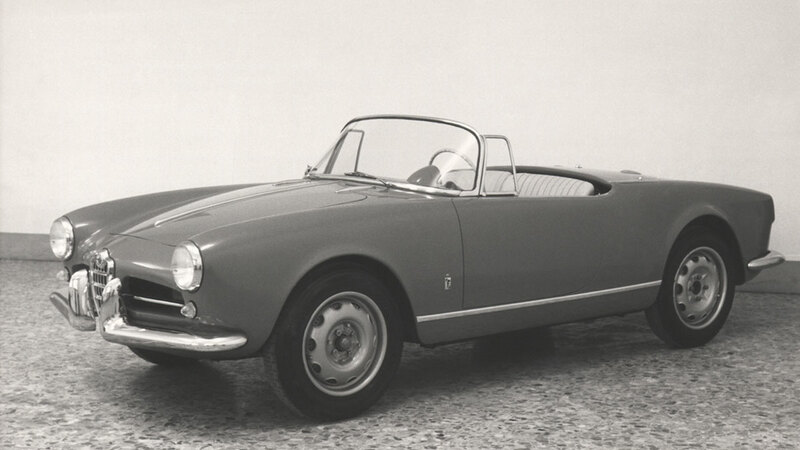 Exhibited as a world premiere at the Turin Motor Show, the Giulietta Spider achieved world-wide success. 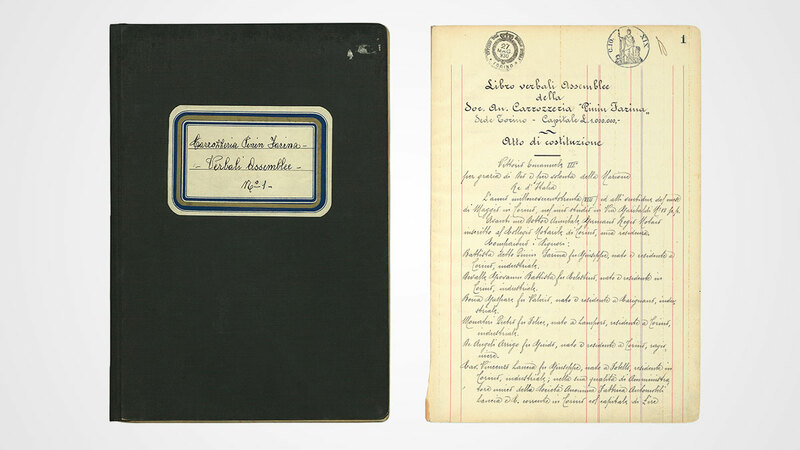 This small masterpiece, originally conceived solely with the idea of exporting it to U.S.A., was in fact swept throughout the length and breadth of Europe by popular demand. 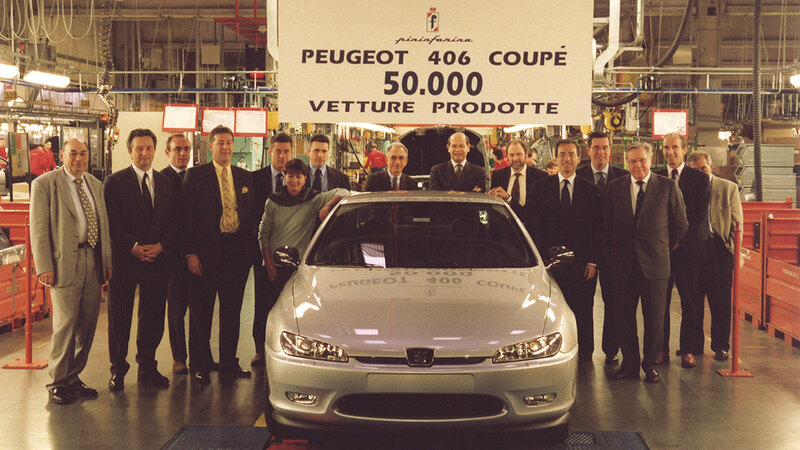 A cooperation agreement with Peugeot started in the same year. 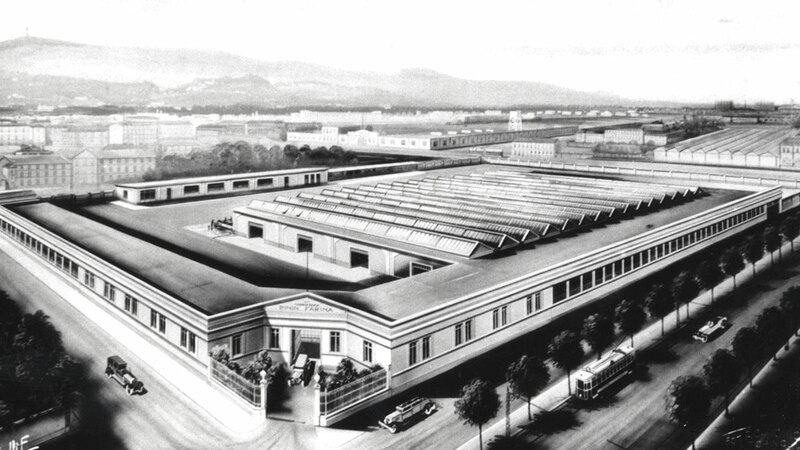 In 1956 the new manufacturing plant in Grugliasco was under construction: it will be finished by 1958. 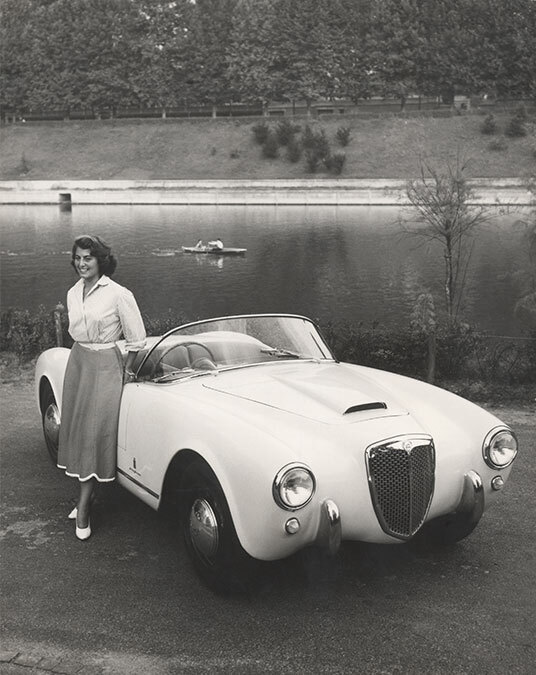 On show at the 1957 Turin Motor Show the Lancia Florida II, a design milestone with stylistic elements which influenced for many years the world-wide production. 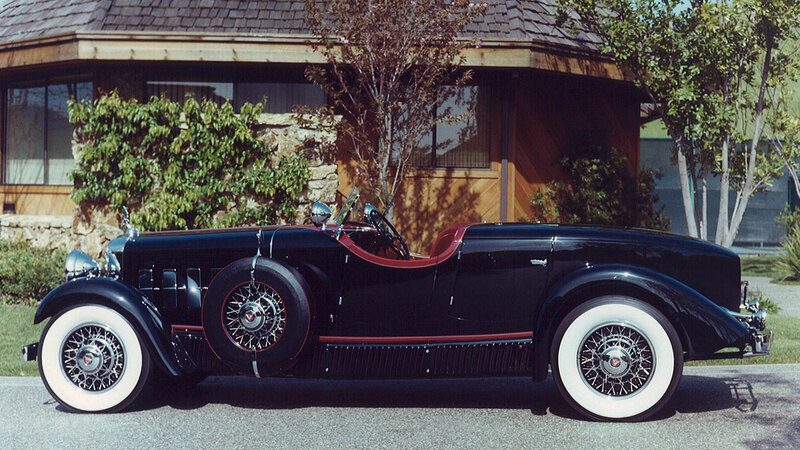 This was the personal car of the Founder: ‹‹I recall that car-maker from Detroit, Olds, who used to live and sleep in his car. And I live in my Florida››. 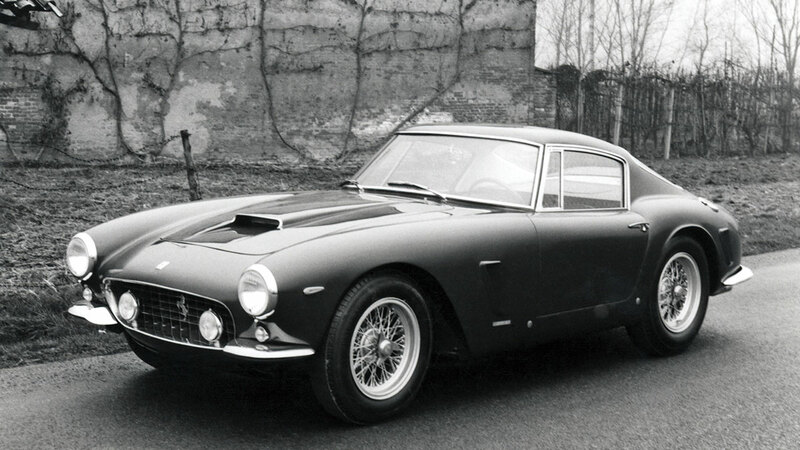 In 1959 the Ferrari 250 GT Short Wheel Base was born as ‹‹the Ferrari›› epitome. Archetype of the Ferrari-Pininfarina technical-aesthetic process of evolution, it expressed sporty performance and timeless elegance. 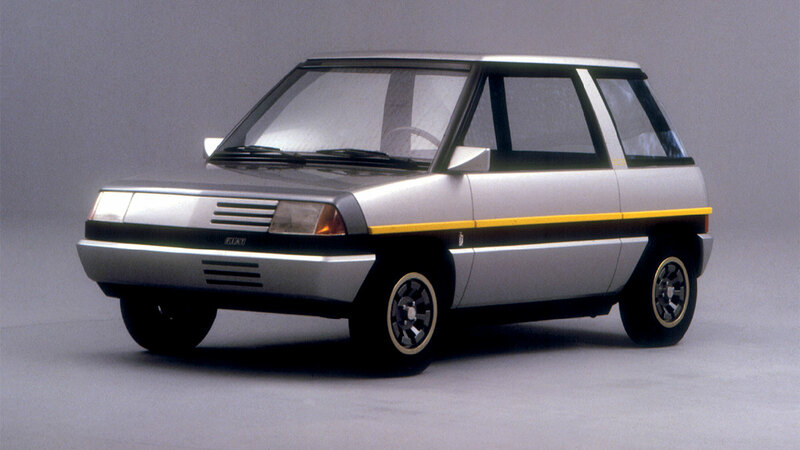 Presented at the Paris Motor Show, it was produced two years later in 200 units. 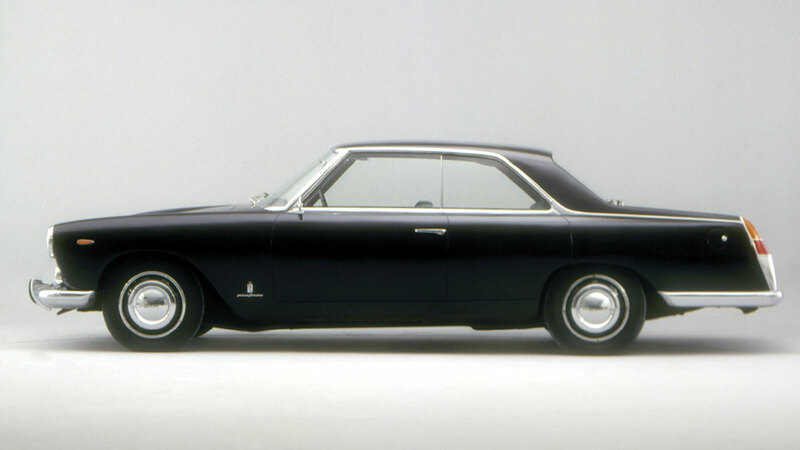 In 1960 the Pininfarina X was presented: a perfect combination of scientific research with an original and revolutionary shape. The rhomboid arrangement of the four wheels and the exceptional drag coefficient allowed to obtain, with the same performance, higher top speed and lower consumption. 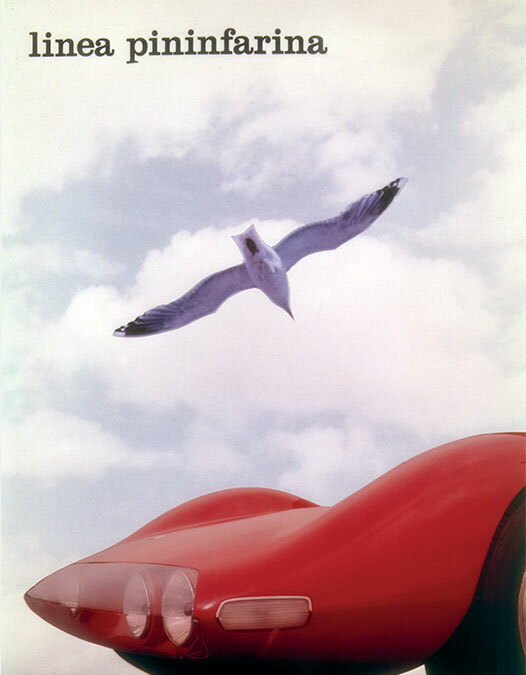 ‹‹During the design phase I did only see two factors, the car and its air penetration; this is why I designed some bold, wing-profile bodies›› said Pinin. In the same period the amazing Fiat Abarth Monoposto made its debut: the fascination of the pure speed in eight international and one world records. 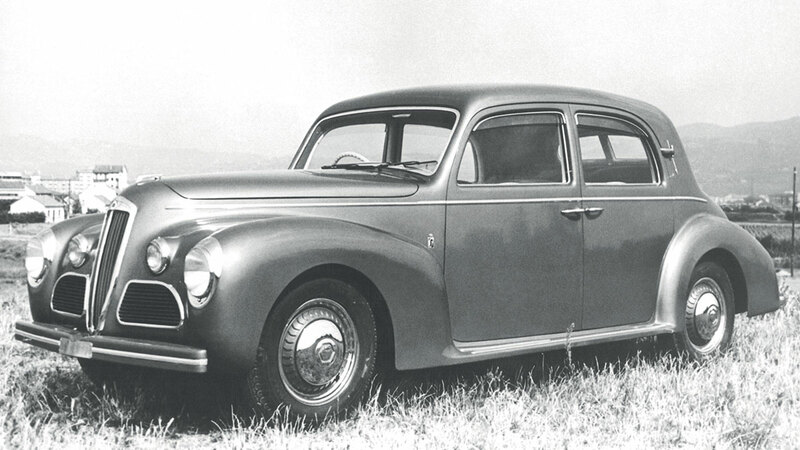 Destroyed by the Second World War, the Carrozzeria Pinin Farina started the production with the Lancia Aprilia Bilux. 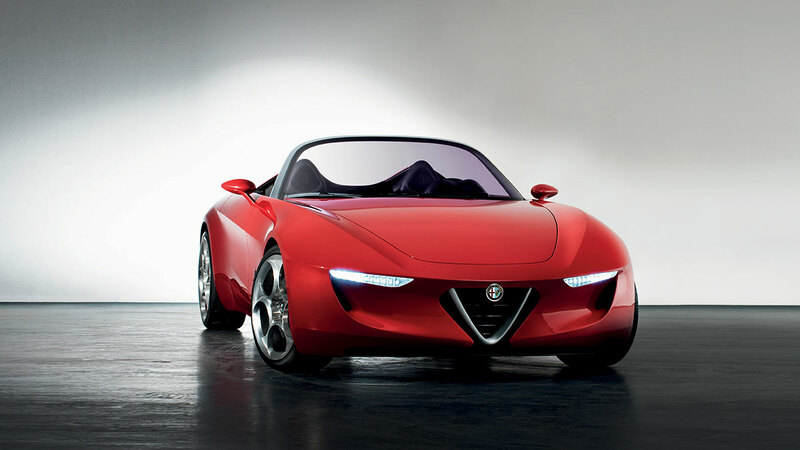 Italy, a defeated country, was excluded from participating in the Paris Motor Show. 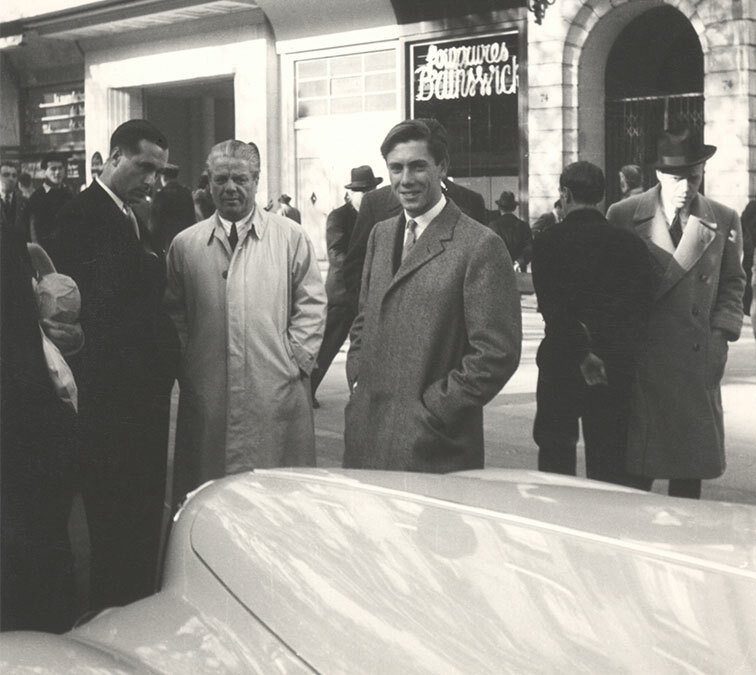 Pinin and his son Sergio set off from Turin to France driving two new cars, an Alfa Romeo 6C 2500 S and a Lancia Aprilia cabriolet. 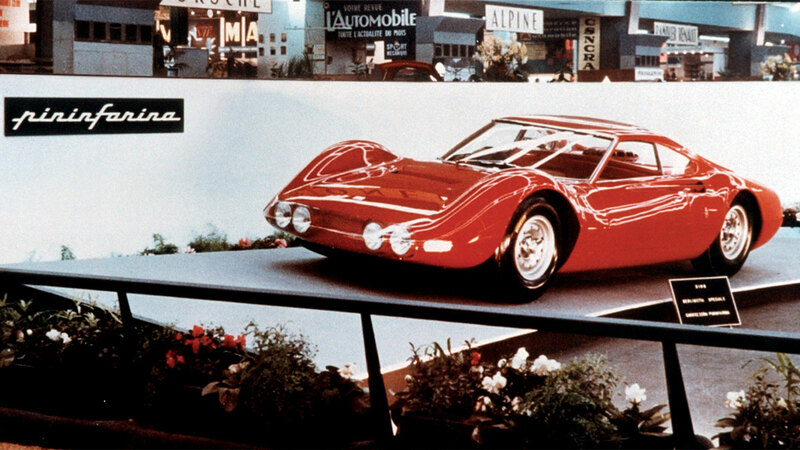 When they reached the Grand Palais in Paris they parked the two cars in front of the entrance of the Motor Show, where everyone going in or out could see and admire them. The following morning they were back guarding the Show and so they continued until it closed. On the last day the Show secretary said: ‹‹You have earned yourself a central stand next year››. 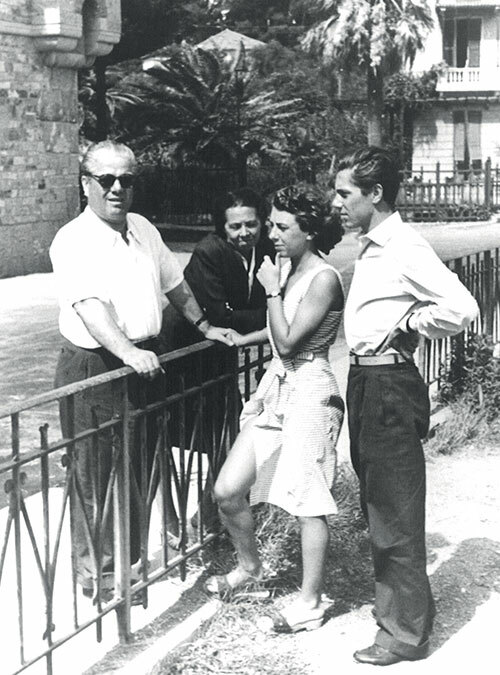 ‹‹It felt to me as the war was over that day››, said Pinin. It was a great success, commented on by the French press: ‹‹Ce diable de Farina a ouvert son antisalon personnel››. 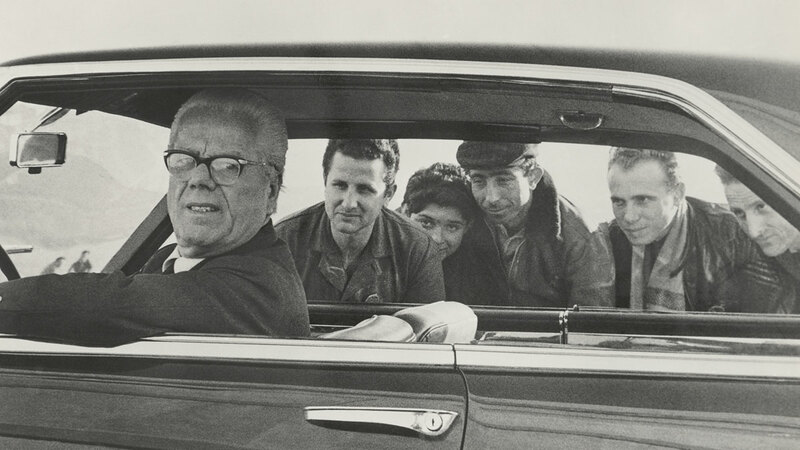 The international fame and success of Pinin Farina’s factory-workshop grew from that moment and with increasing vigour from the early Fifties onwards. 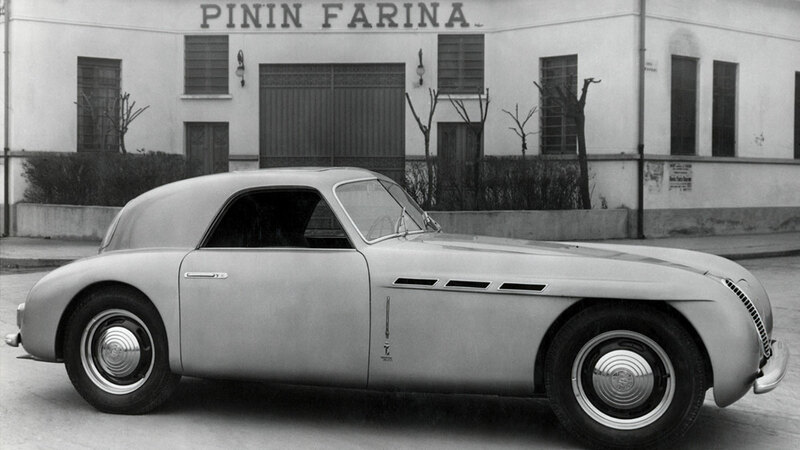 Pinin Farina created the Cisitalia 202, first car in the world permanently displayed in a Museum of Modern Art, namely the MoMA in New York, as ‹‹one of the eight outstanding cars of our time››: “Running Sculpture”, according to the definition of Arthur Drexler, the Cisitalia was realised on tubular chassis and manufactured in limited series with aluminium body welded to a skeleton of fine sheet steel. 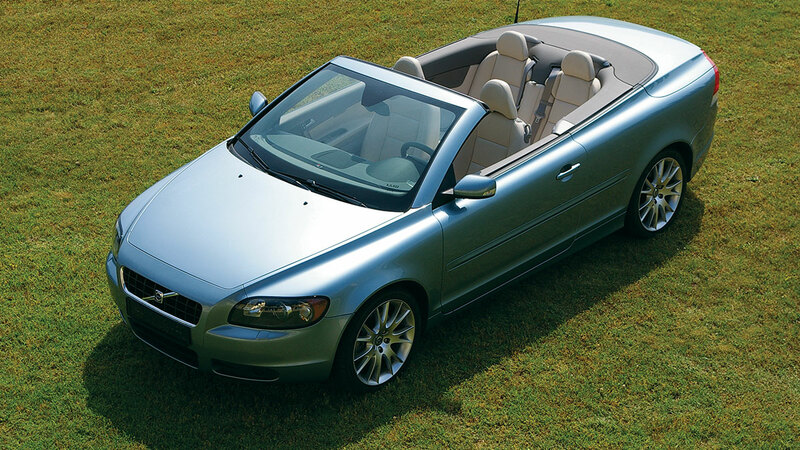 Its design marked a decisive turnpoint of the automotive style. Pinin wrote: “I knew that the old shapes were out. 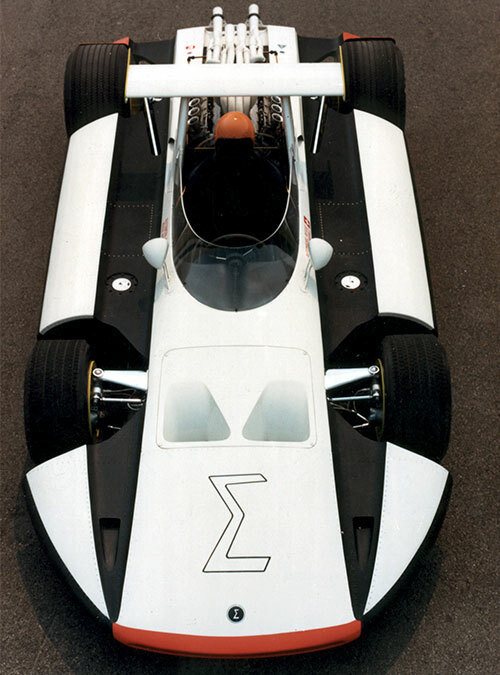 Cars had to have pure, smooth, essential lines too. 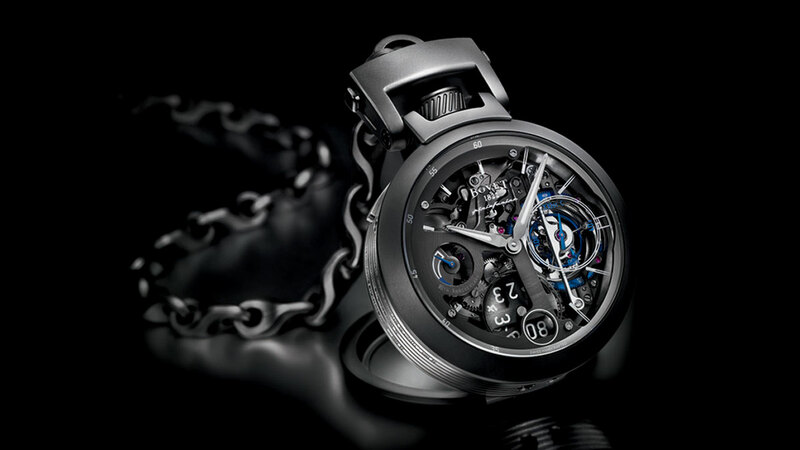 It was a model which suddenly escaped from my hands, not my life. It went off along mysterious roads, towards its destiny (cars have destinies too, you will realise it if you go to markets, shows and car museums)”. 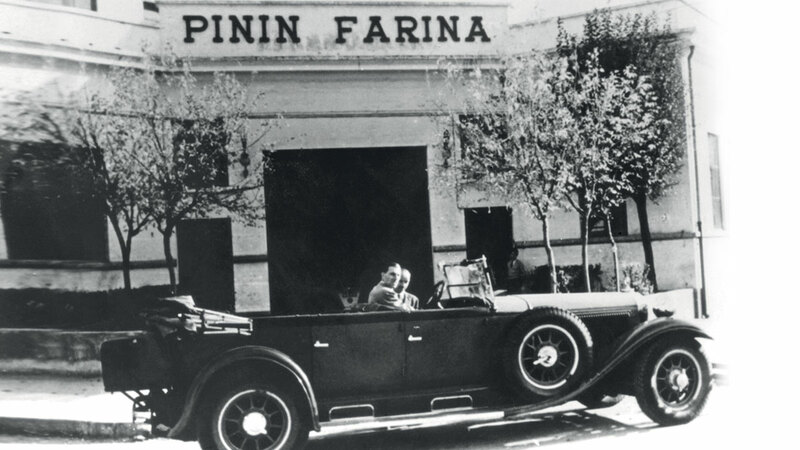 On May 22nd Battista “Pinin” Farina founded Carrozzeria Pinin Farina in Turin. 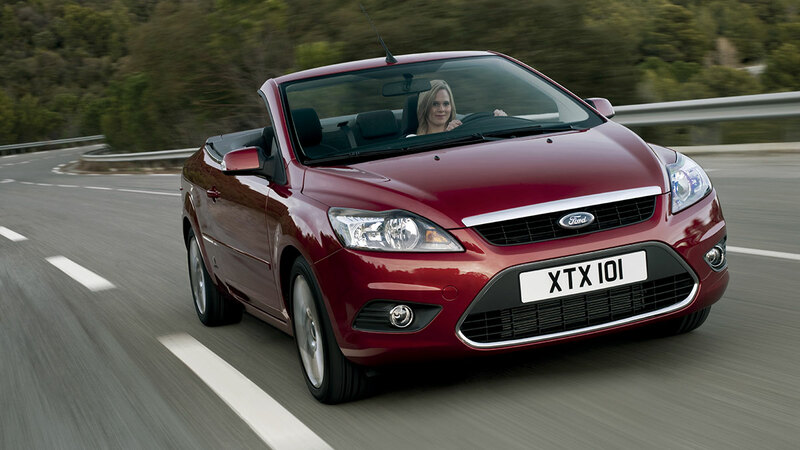 The company was designed to build special car bodies for individual customers or in small production runs. 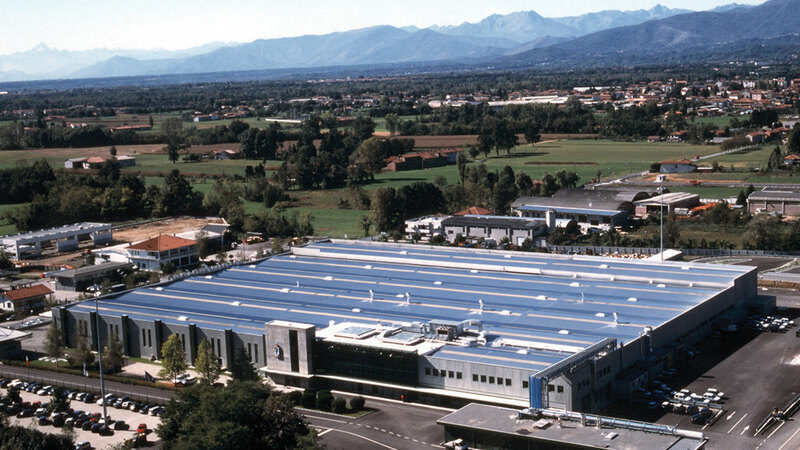 The Corso Trapani plant had 150 employees on a covered area of 9250 square meters. 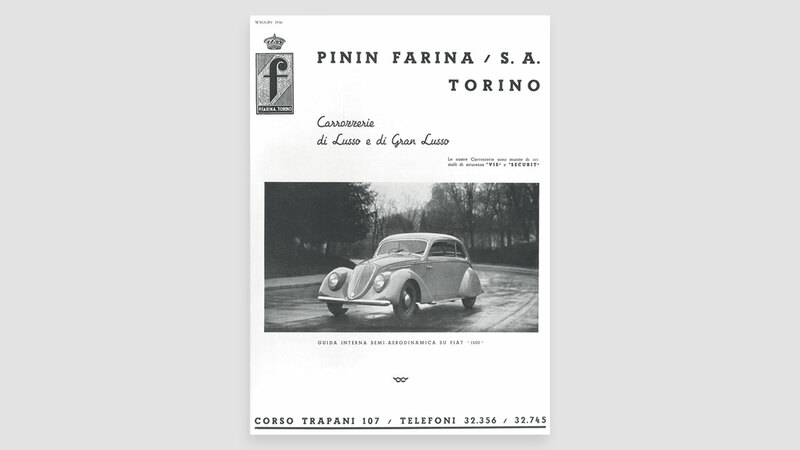 In June, the following news appeared on an automobile periodical: “And now the popular nickname “Pinin” used by the whole of the Turin motoring world when talking about Battista Farina, was officially about to become used throughout the country, as a result of the recent Company changes which led to the founding of S.A. Carrozzeria Pinin Farina“. 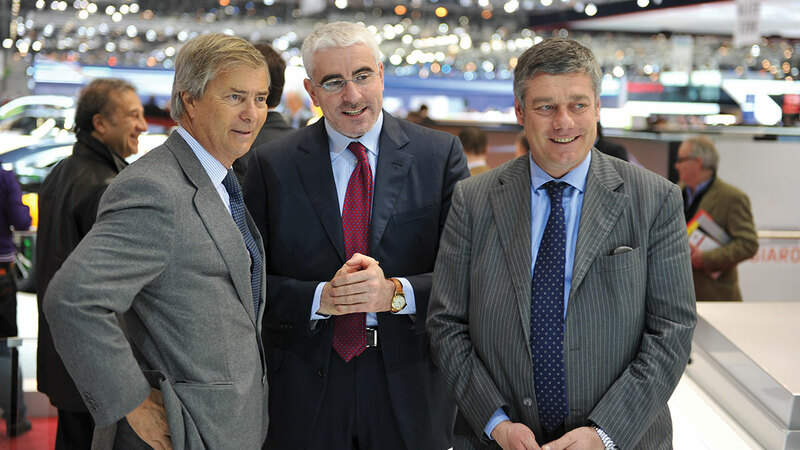 At the Paris Motor Show Pinin Farina exhibited Lancia, Alfa Romeo, Isotta-Fraschini and Fiat cars. 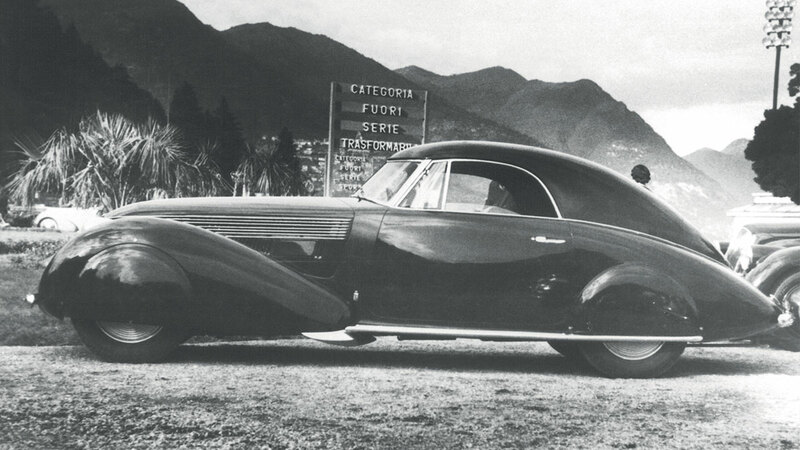 The Lancia Dilambda, the first official Pinin Farina special, appeared at the 1931 Concours d’Elegance at Villa d’Este. 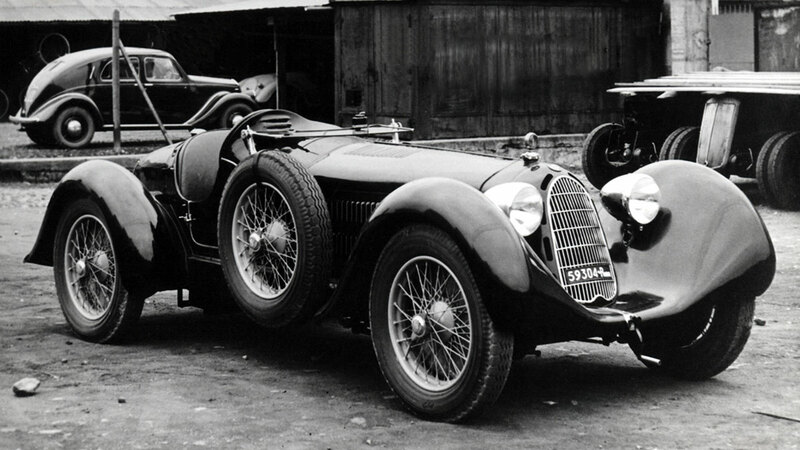 His first accomplishments in the 1930’s included the Hispano Suiza Coupé and the Fiat 518 Ardita. In the Thirties the car was a good that was reserved for a minor élite, almost a plaything for a narrow circle of bold, blasé youngsters. 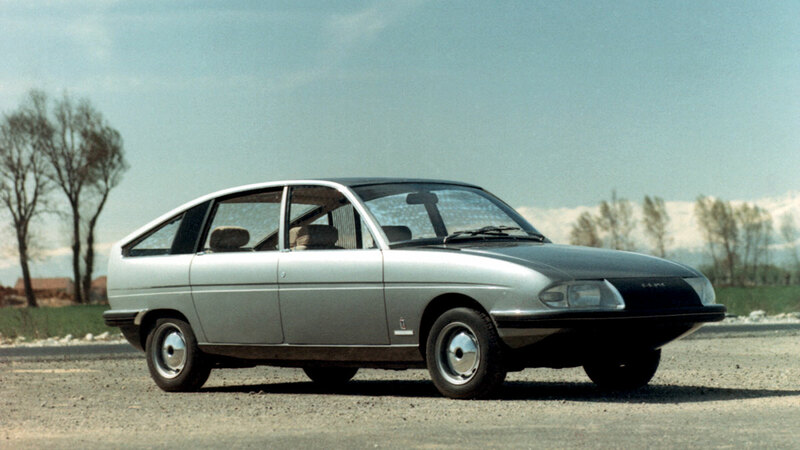 Yet Pinin felt sure that these unlikely, noisy jalopies, which also happened to be expensive, would change quickly to become outstanding and entirely respectable tools of individual mobility. One of the early ads says: “Luxury and grand luxury cars”. 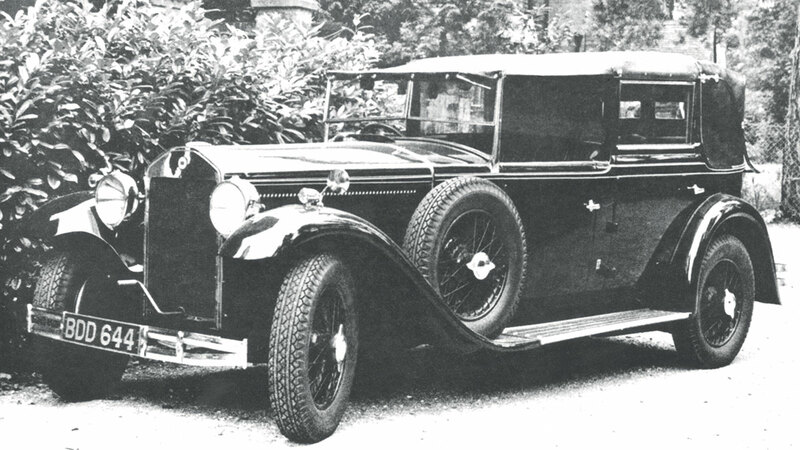 Cars were destined to ruling houses, diplomats, maharajahs and even some Middle East sheiks who were beginning to collect some of the first oil royalties, for actors and actresses, more foreigners than Italians. Pinin wrote: “In September I sold a Dilambda spider cabriolet to the Queen of Romania, I began to have some of the nobility amongst my customers”. 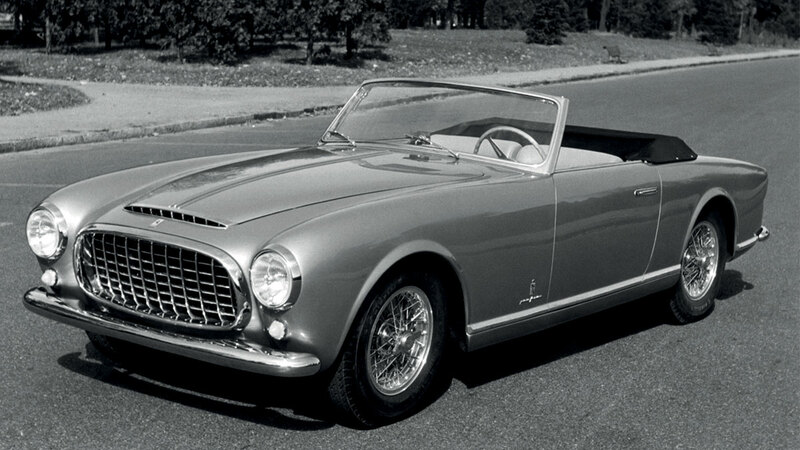 Pinin immediately embraced the cause of modernity and aerodynamics. 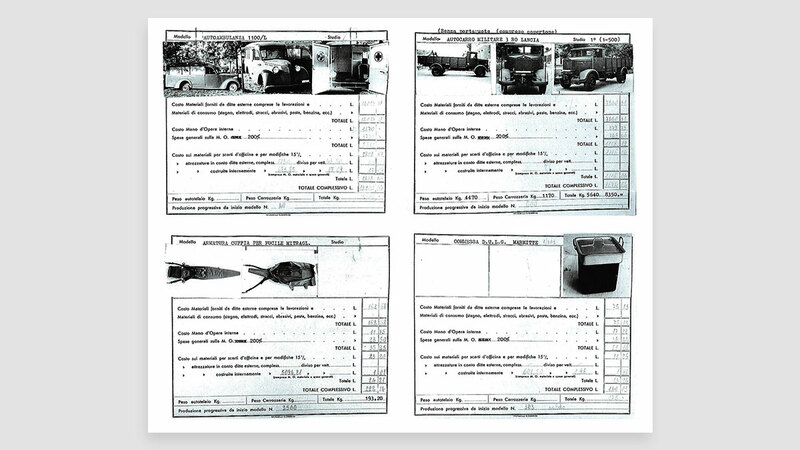 In his view, it was the most natural way (in so far as it was the most respondent to the “nature” of the object) of solving the problem of the autonomous and original formal identity of cars. Aerodynamics, he was to write in his memoirs, was the “form of speed”. 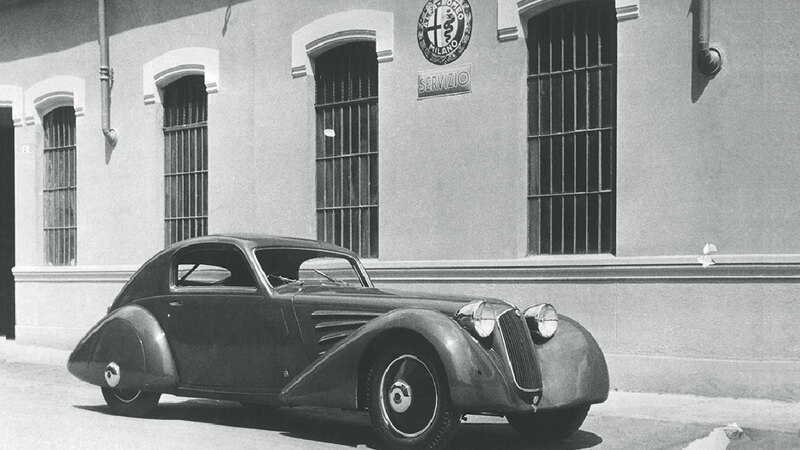 At the 1935 Milan Motor Show Pinin exhibited the Alfa Romeo 6C Pescara Coupé aerodinamico. 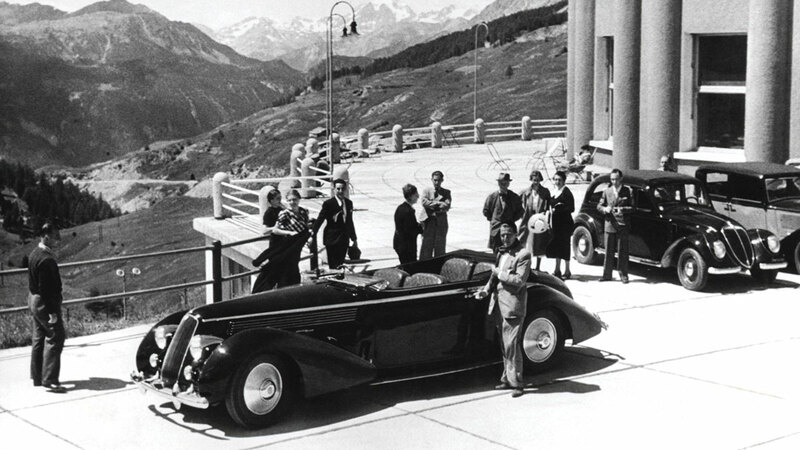 One year later, the Lancia Astura Cabriolet tipo Bocca: elegance and craftsmanship for a small series of streamlined, richly finished cabriolets which introduced the unprecedented notion of the legitimacy of making a certain number of replicas of a custom-built model. 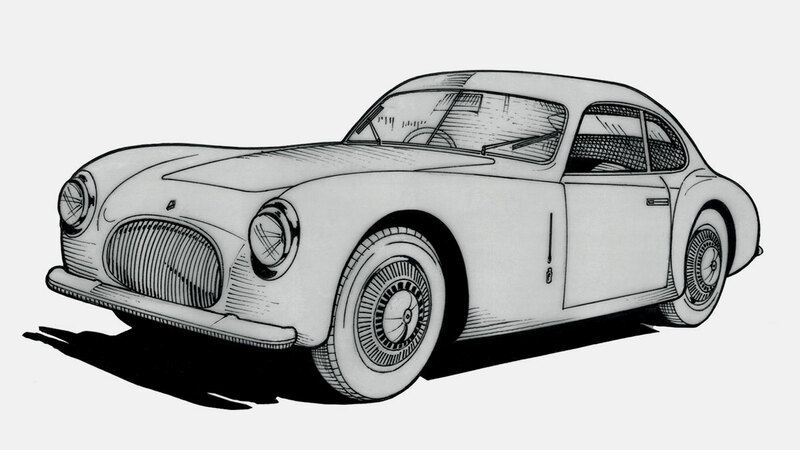 Then the Lancia Aprilia Aerodinamica was built, a revolutionary berlinetta where an astonishing Cx of 0.40 was intuitively and empirically achieved. 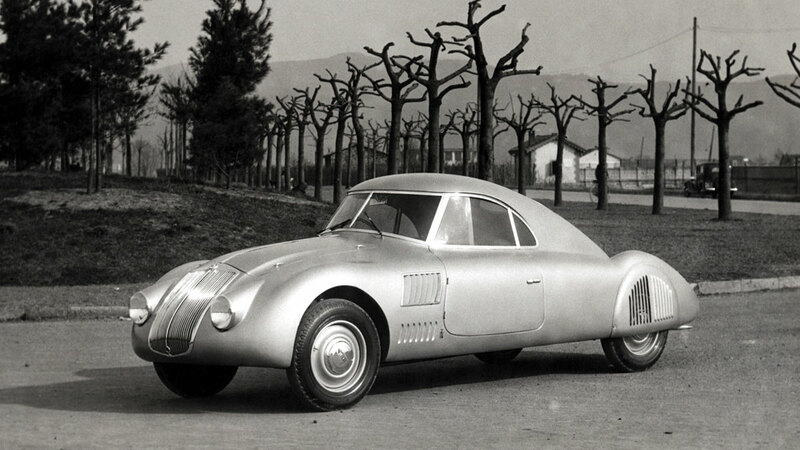 Aerodynamics was no longer a symbolic element, a metaphor of speed; it had now become a real standard of efficiency.